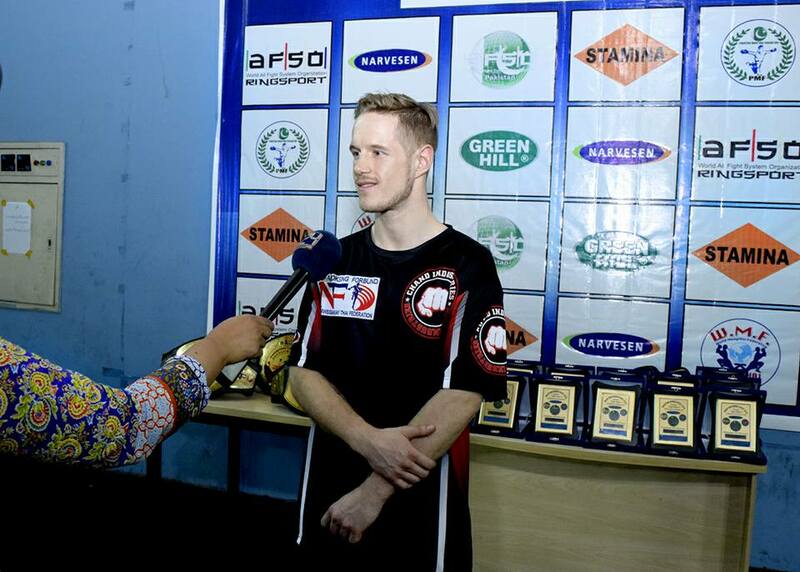 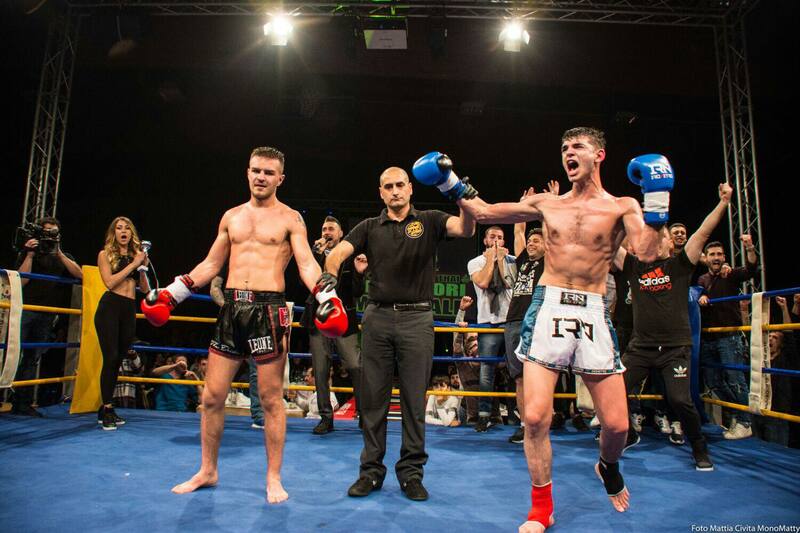 World Titlefight Kevin Buser (Suisse) Vs Manol Marashi (Albania). 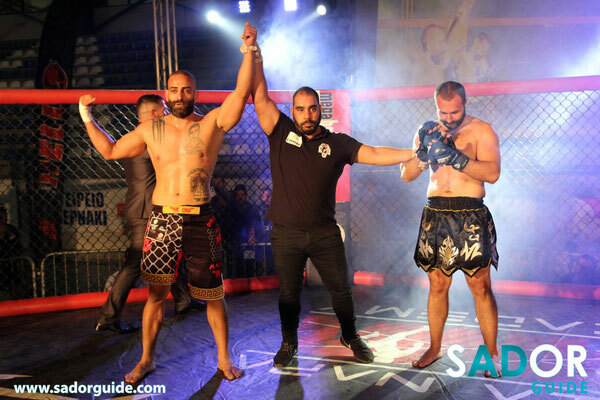 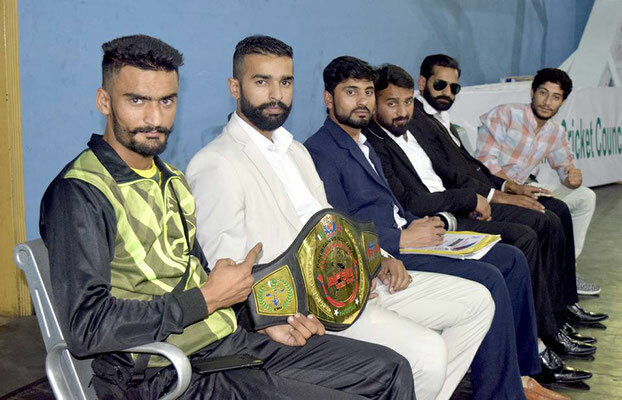 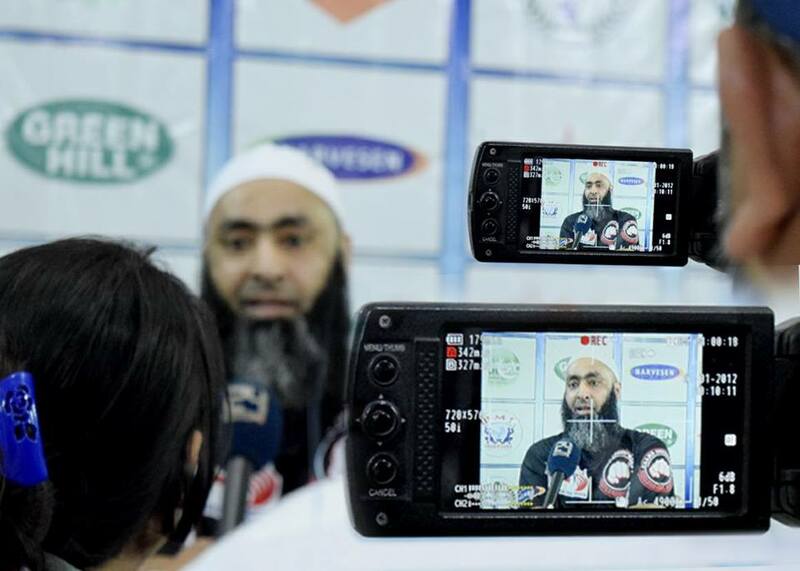 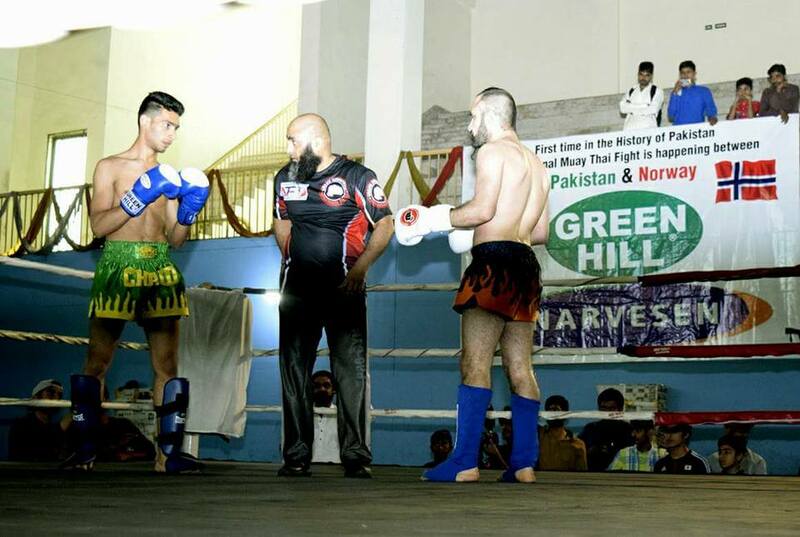 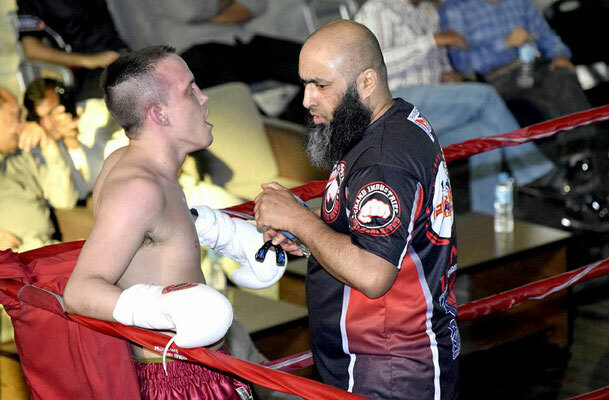 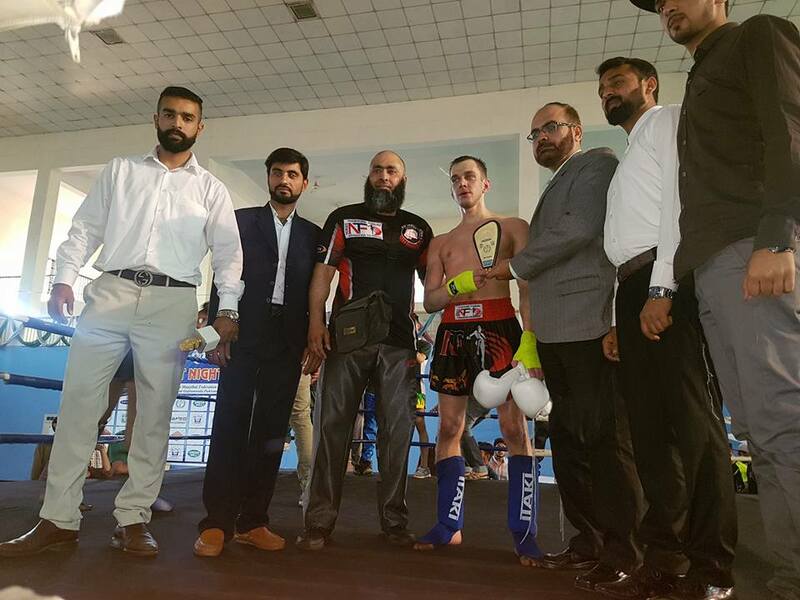 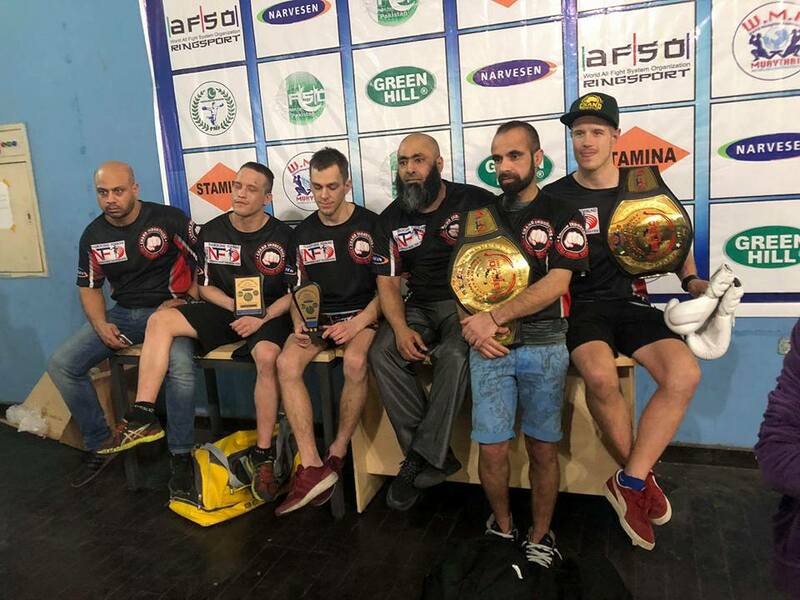 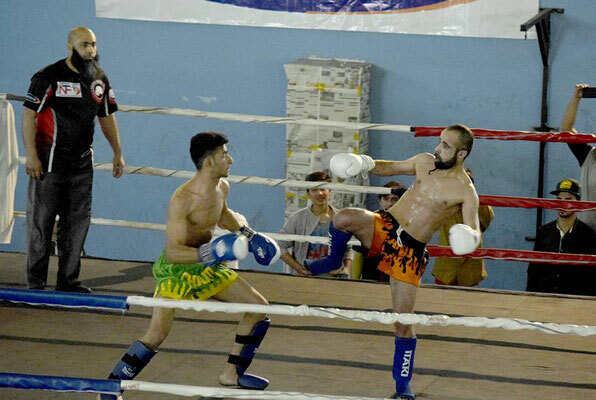 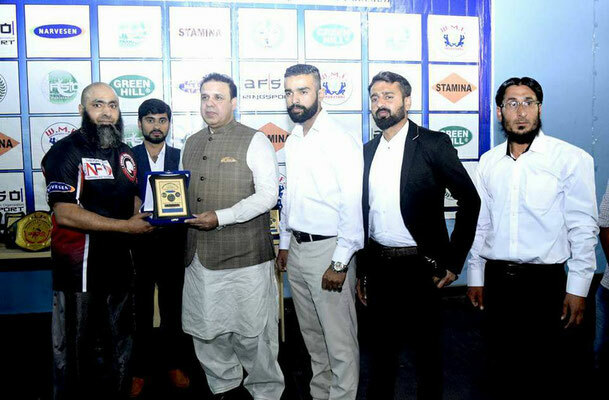 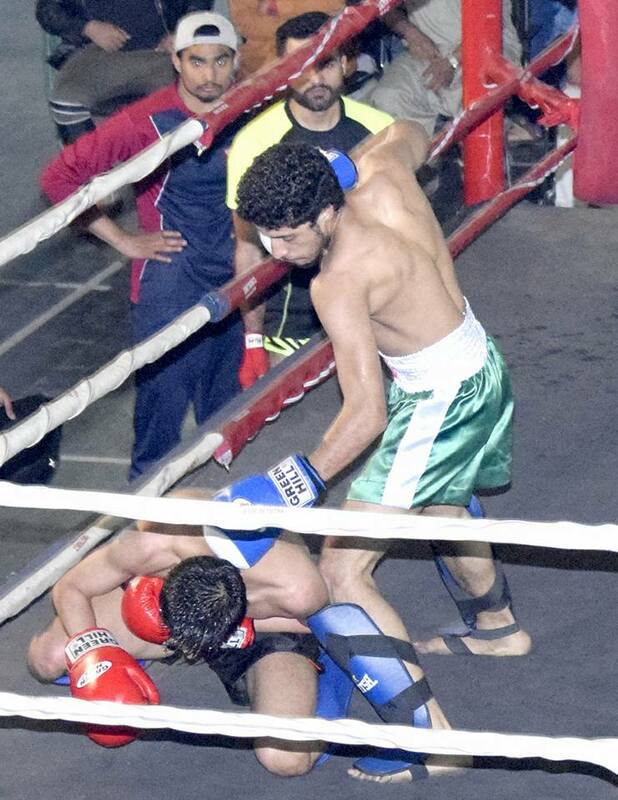 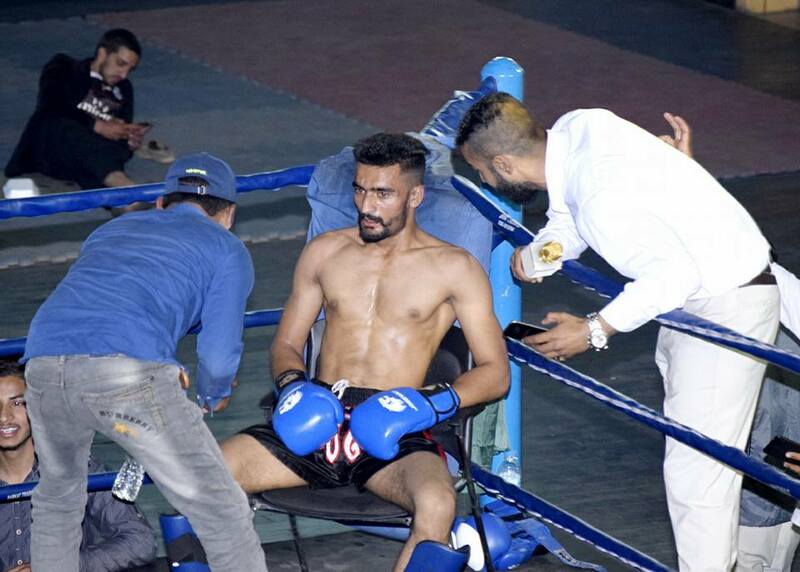 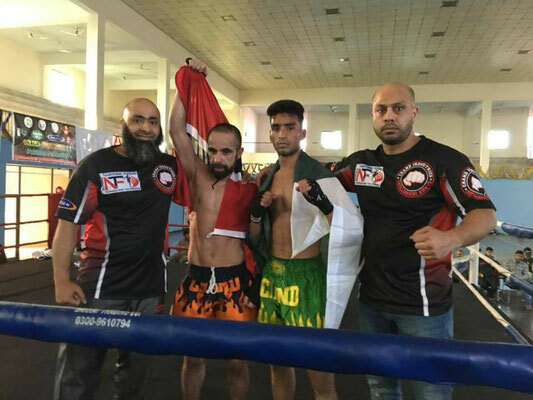 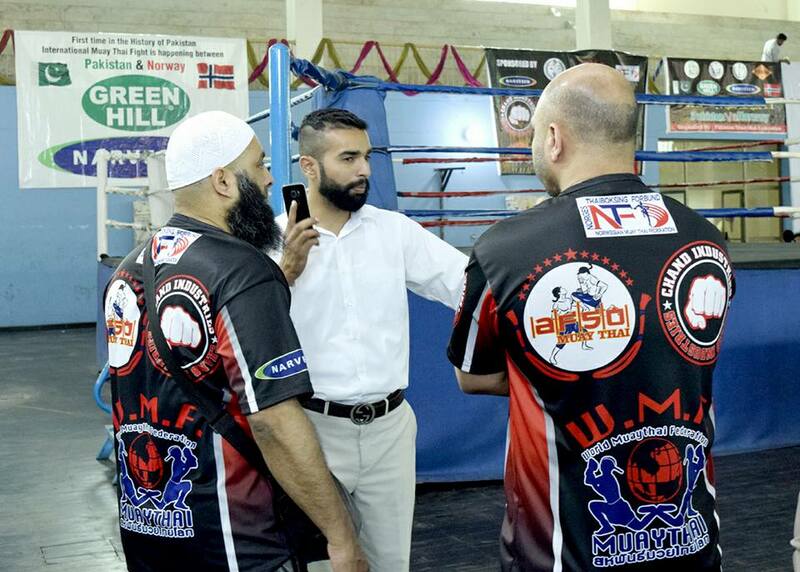 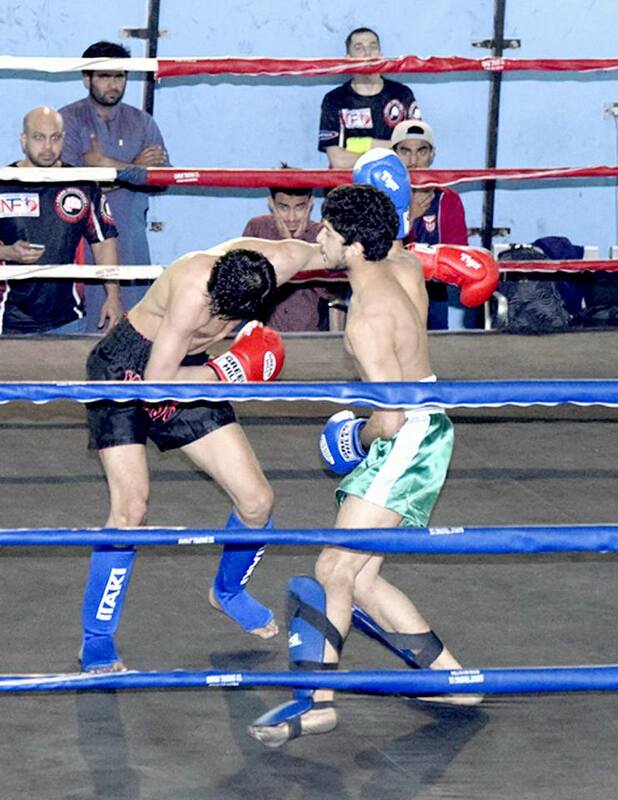 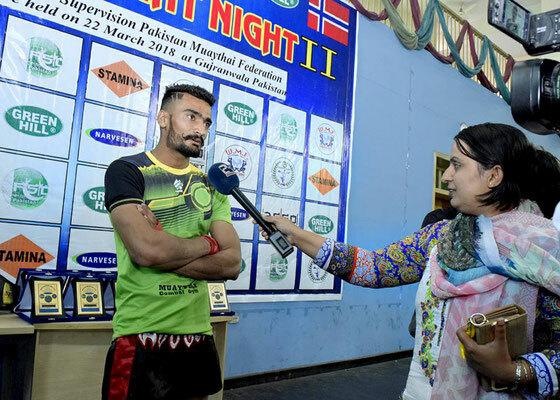 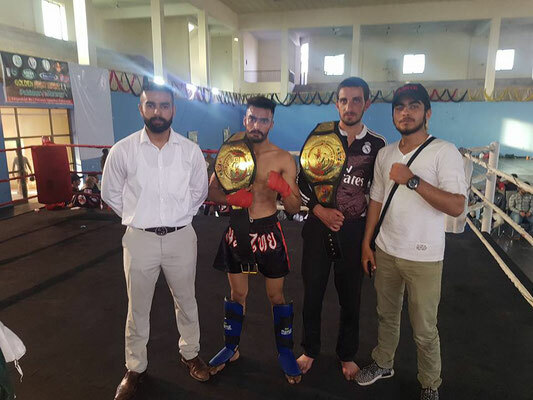 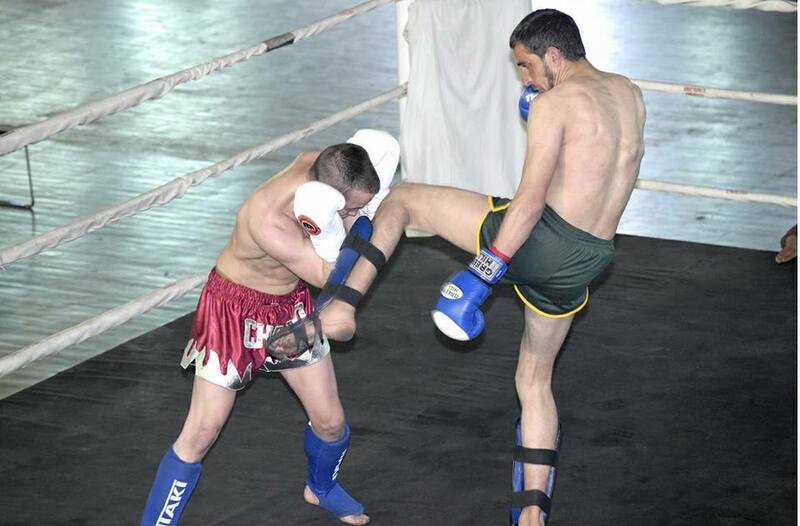 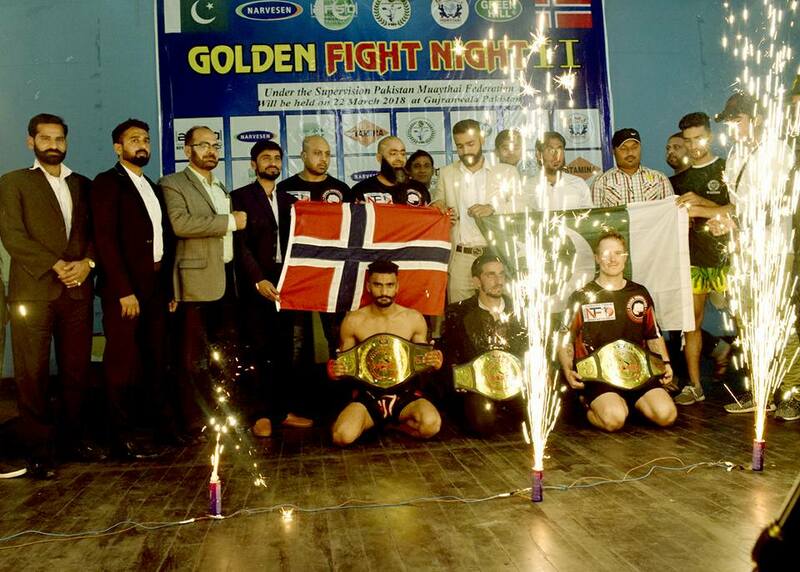 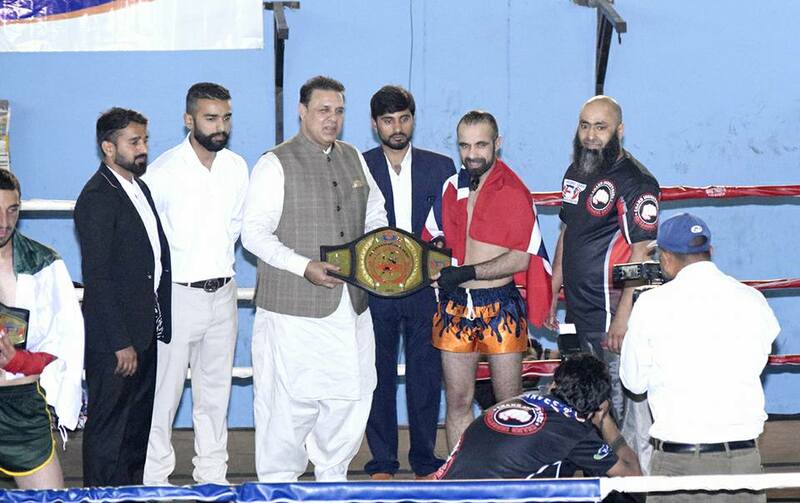 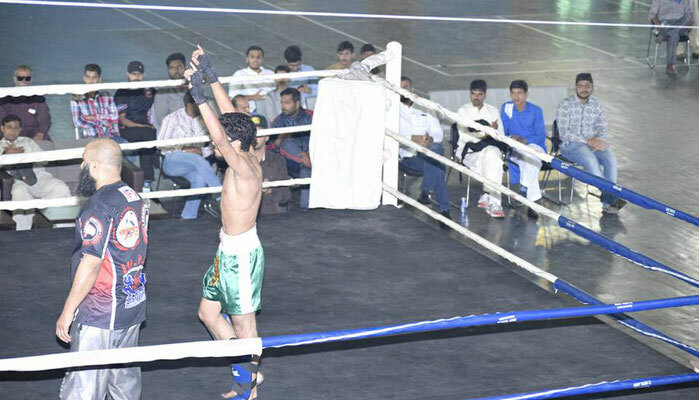 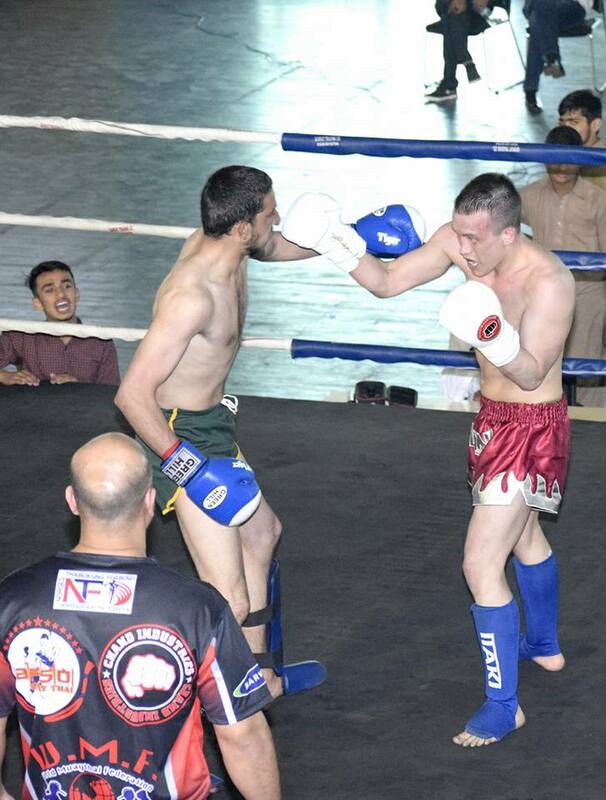 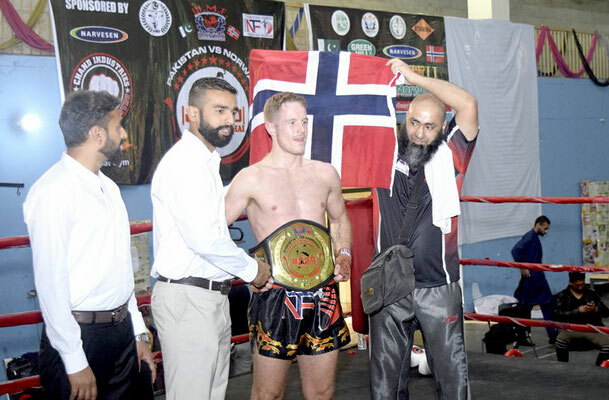 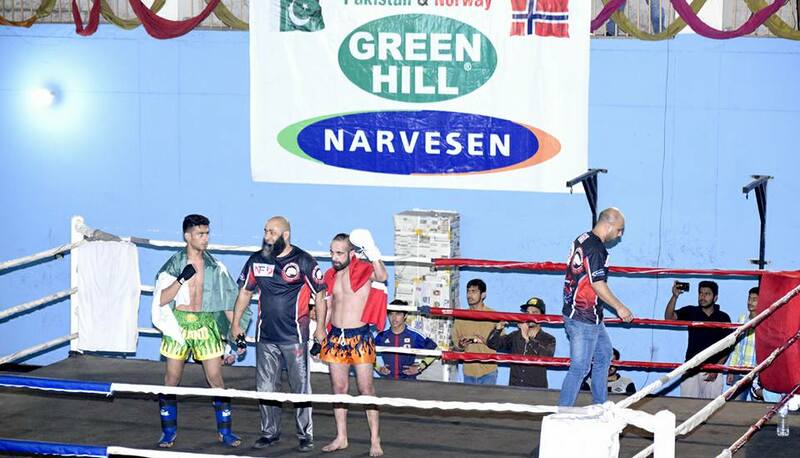 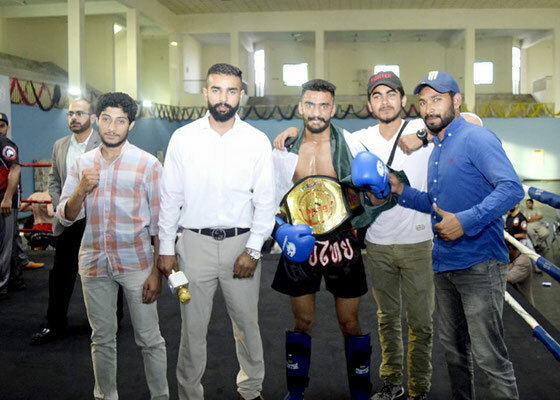 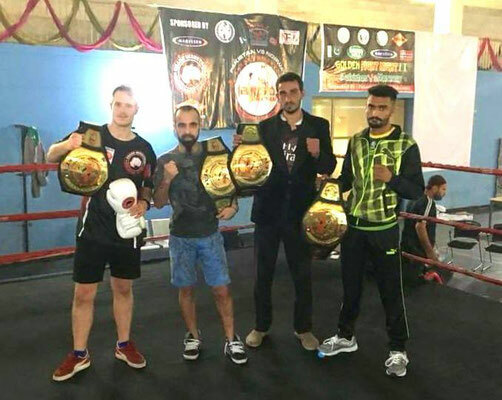 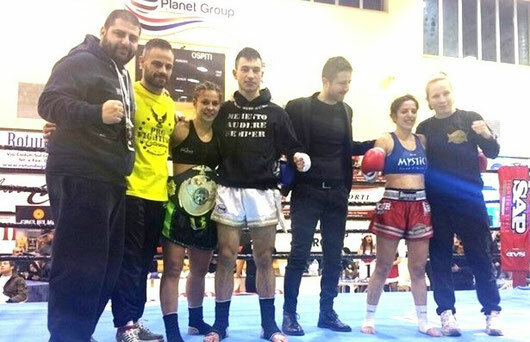 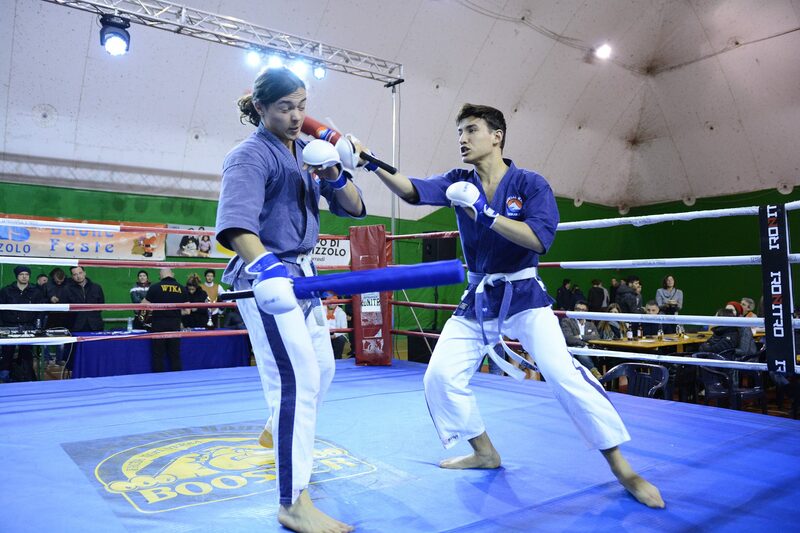 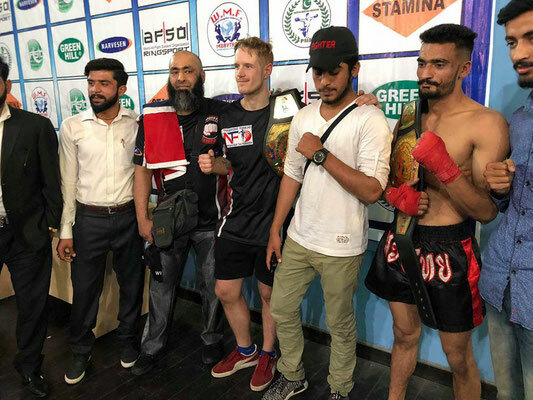 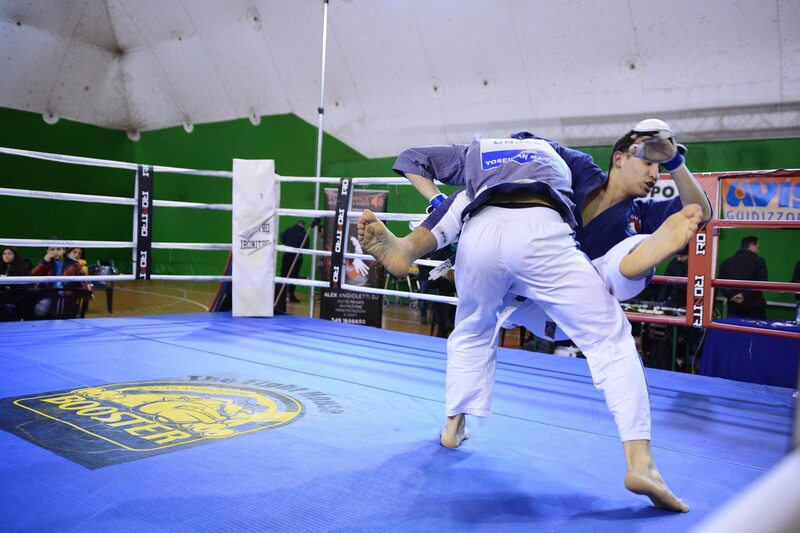 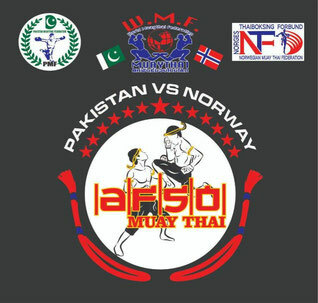 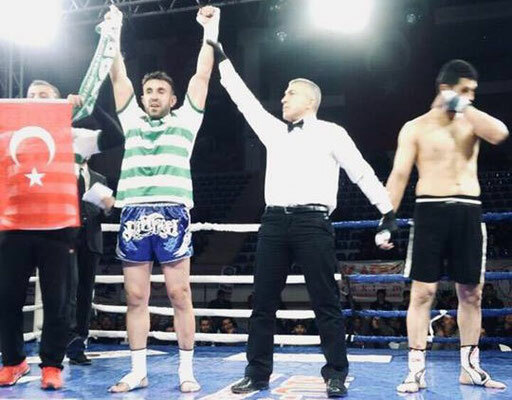 World Titlefight Sanel Muslic (Croatia) Vs Can Ranjbar (Afghanistan). 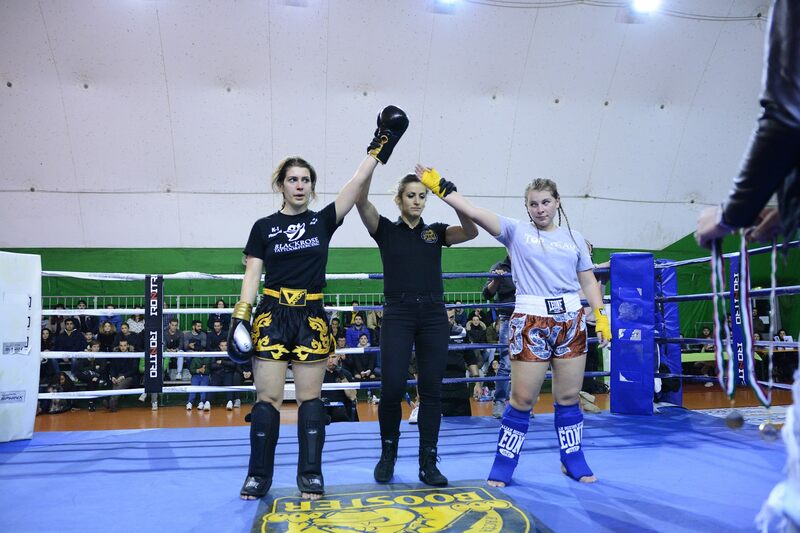 Kristin Schwer 3x Gold on Unified World Championship Vs Eileen Bruns. Mohammed Lazrak (Morocco) Vs Paraskevas Kavalaris (Greece). 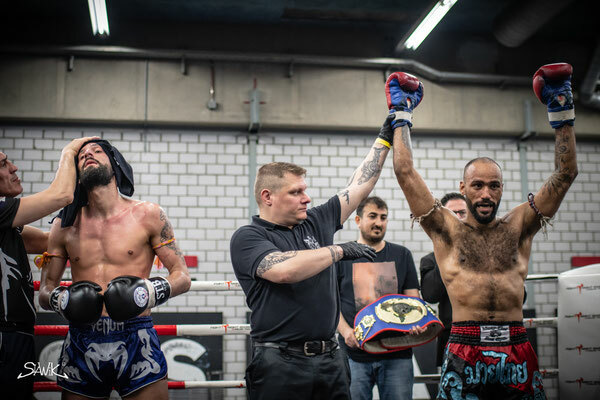 17.03.2018 Wiesbaden:A.F.S.O. 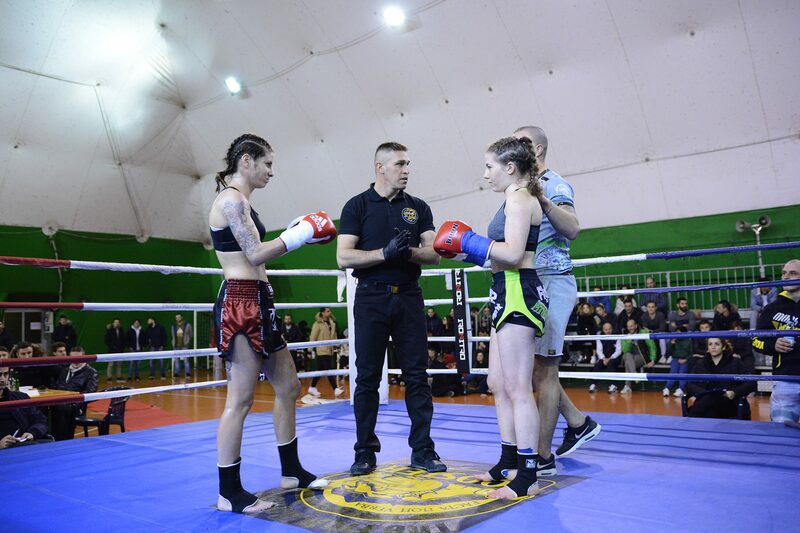 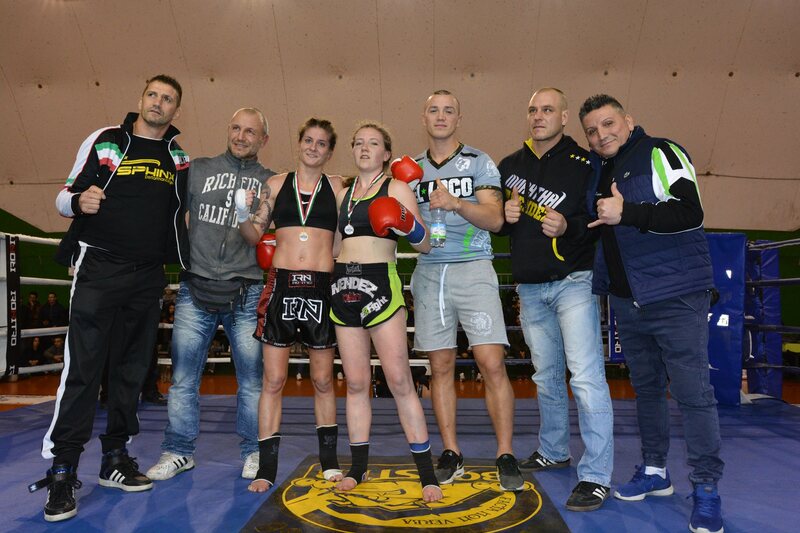 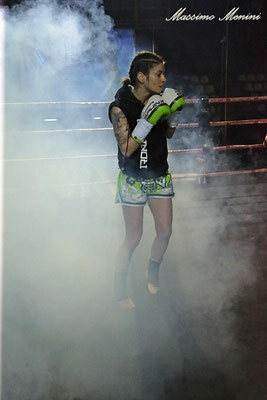 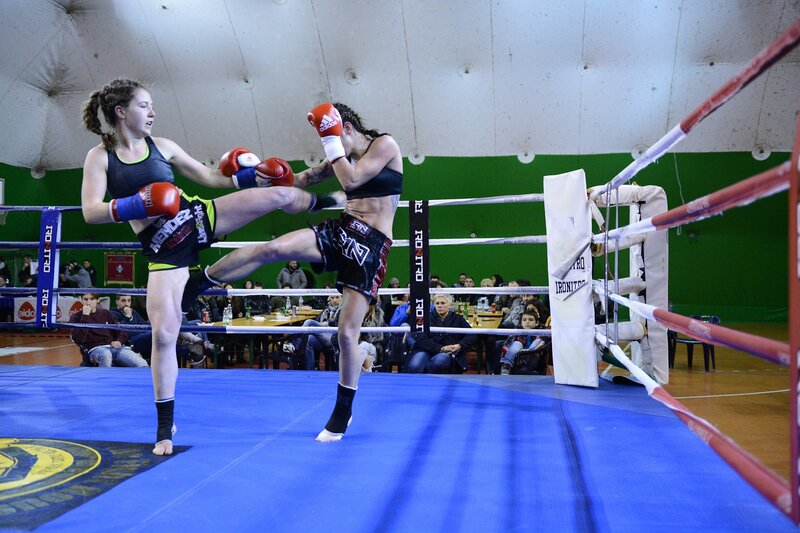 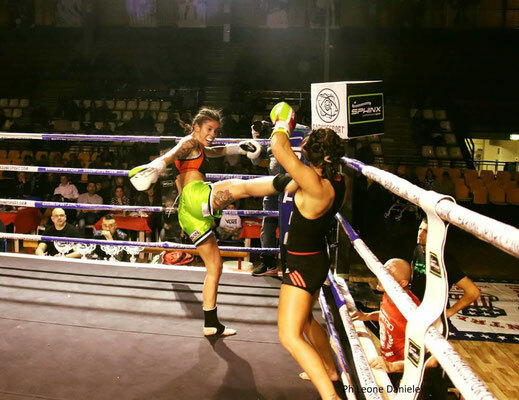 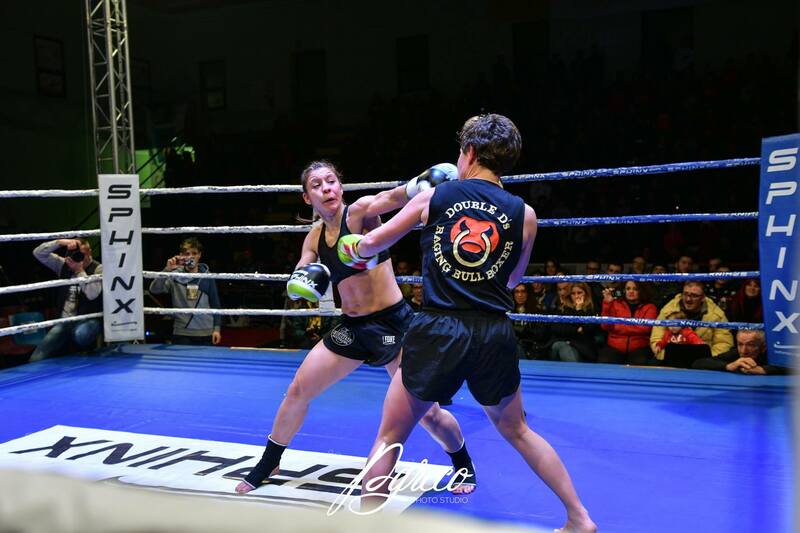 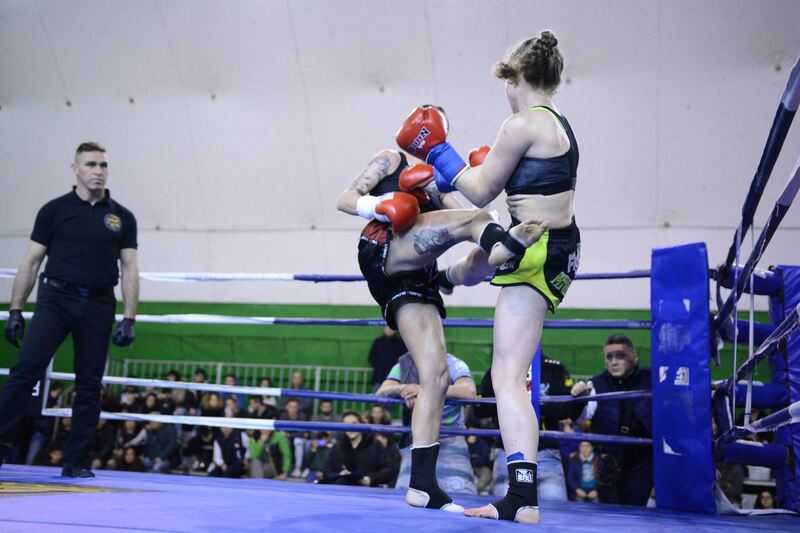 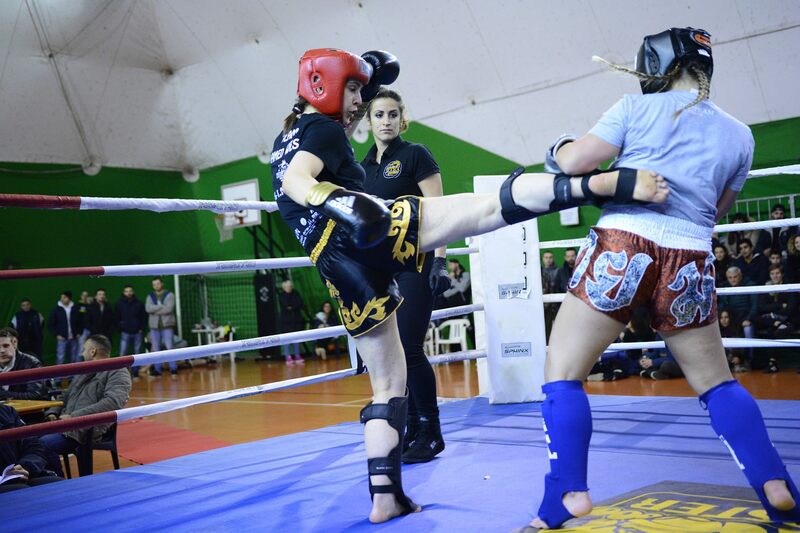 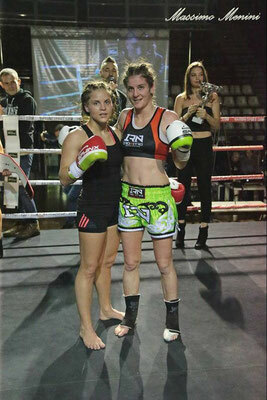 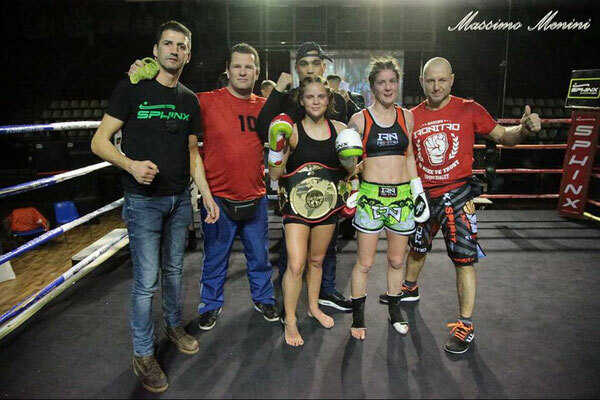 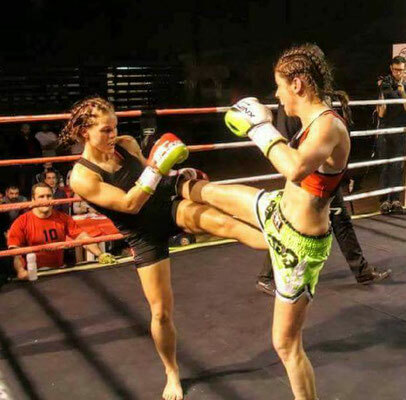 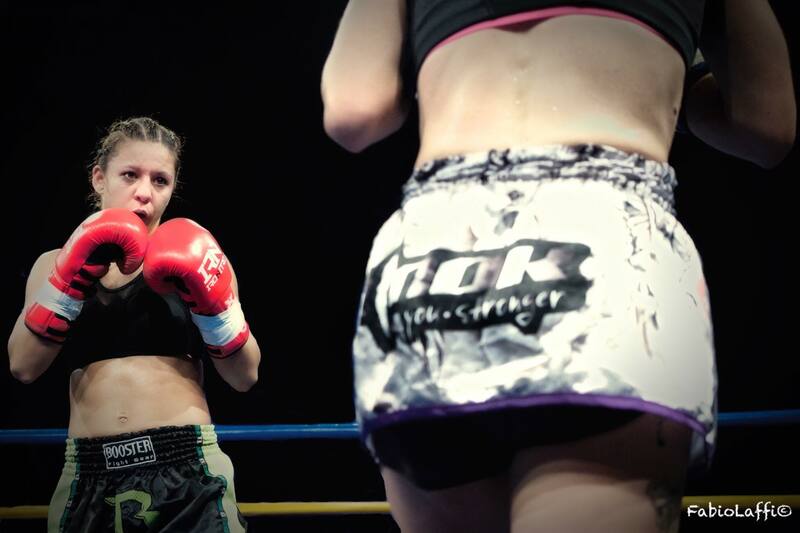 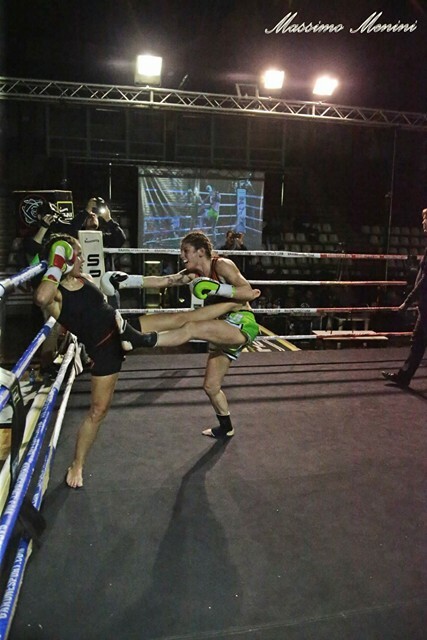 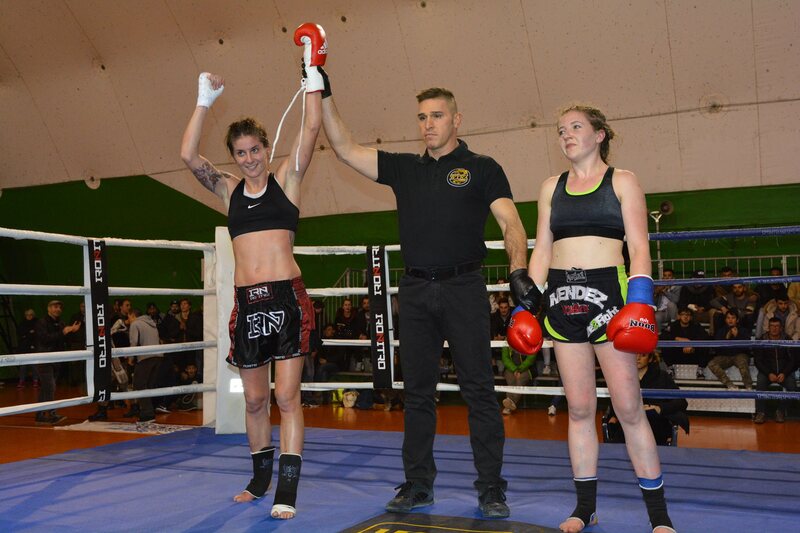 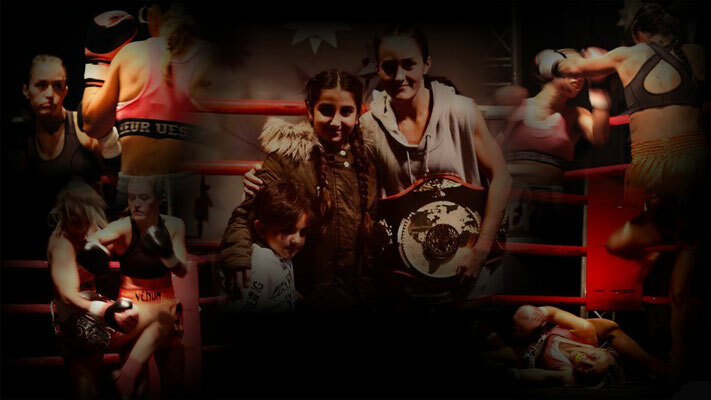 Oriental Rules Superfeatherweight World Titlefight Sarah Glandien (Germany) Vs Daniela Graf (Germany). Stella Bartoletti (Italy) Vs Alicia Holzken (Netherlands). 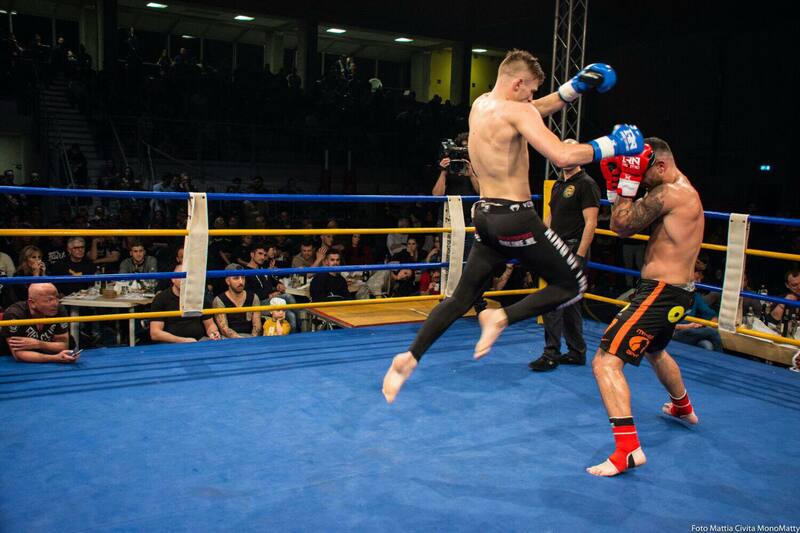 Dalibor Music (Germany) Vs Damian Ostep (Polonia). 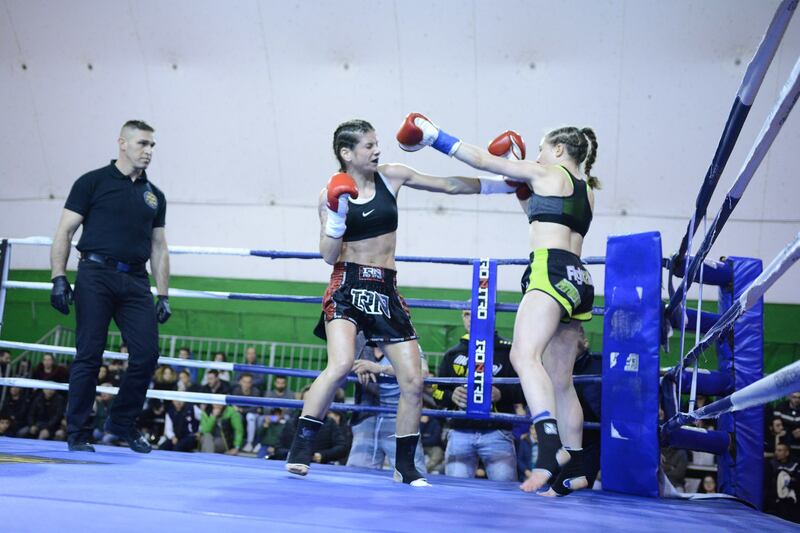 Federica Arpino (Italy) Vs Evelyn Gallegos (Ger/Esp). Enver Slivar (BIH) Vs Vladimir Toktasynov (Russia). 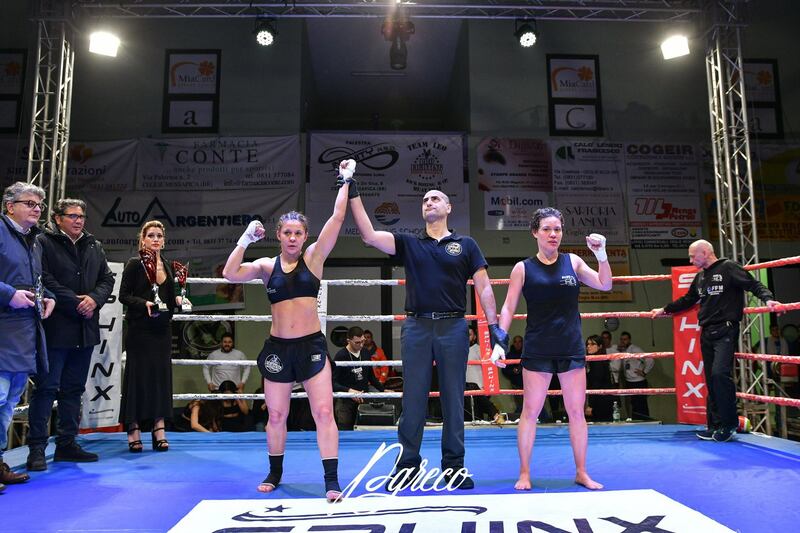 Federica Arpino (Italy) Vs Mavra Vourti (Greece). 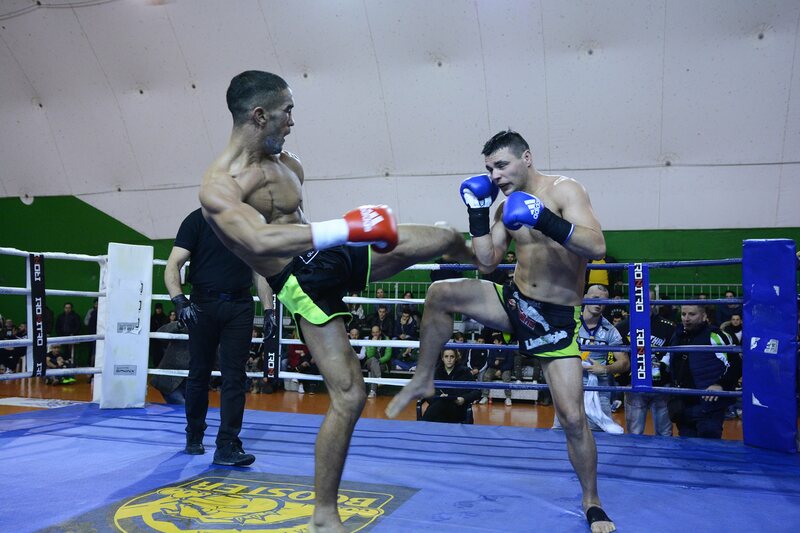 Dima Sapanazidis (Greece) Vs Amend West (Italy). 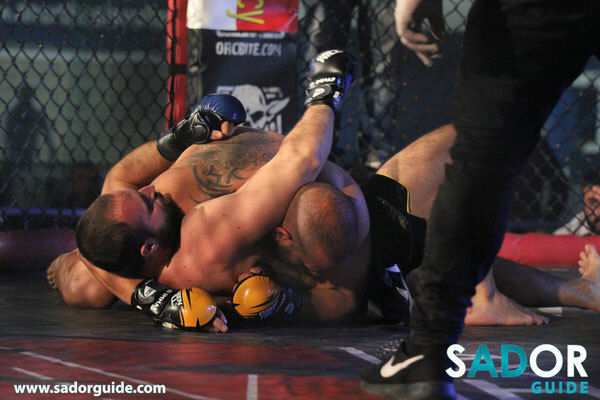 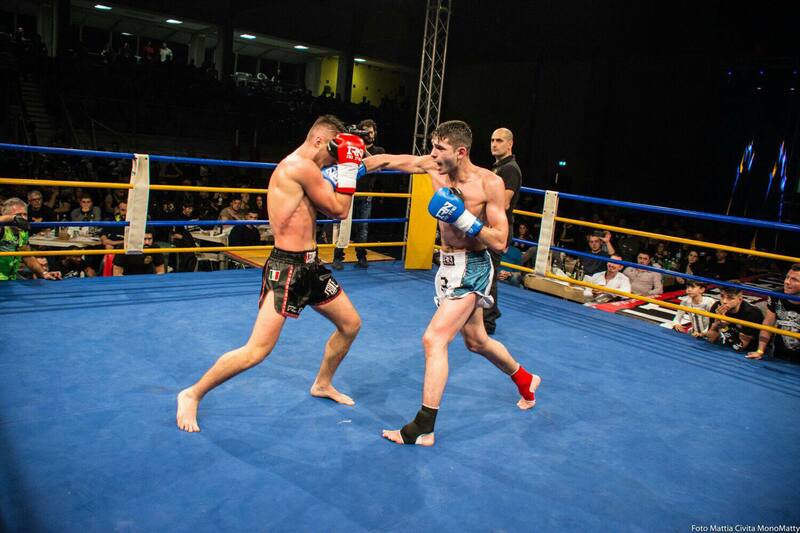 Stefanos Charalambous (Cyprus) Vs Ion Alexandrou (Romania). 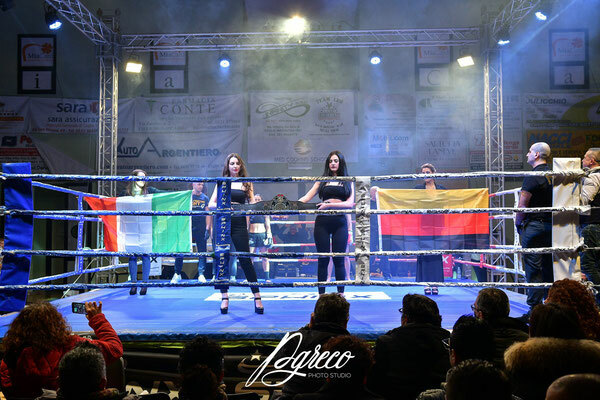 Ilenia Perugini (Ita/Sui) Vs Daniela Vari (Italy). 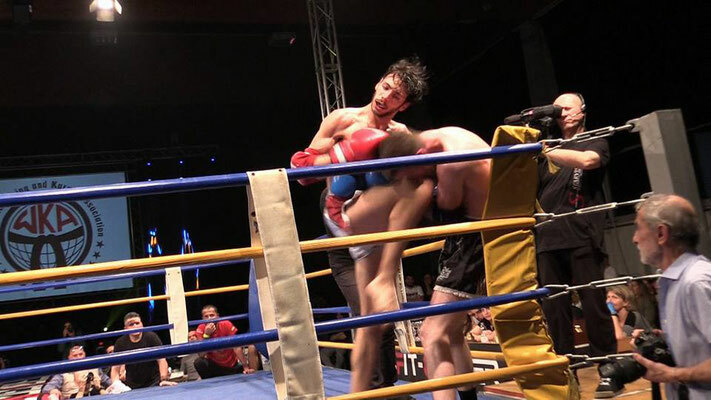 Ismail Uzuner (Turkey) Vs Ramon Kübler (Germany). 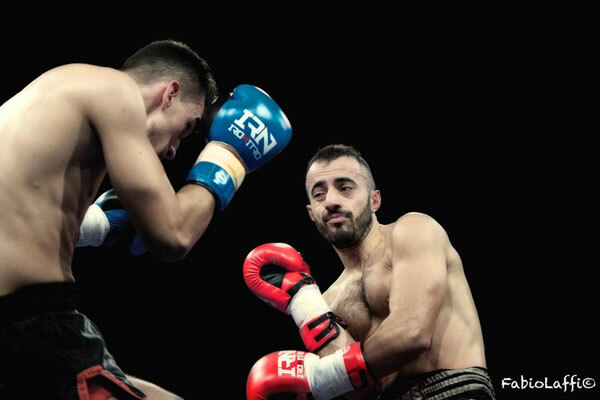 Ibo Topyürek (Ch/Ger/Tur) Vs Adam Mohamed (Suisse). 25.11.2017 Zola Predosa:A.F.S.O. 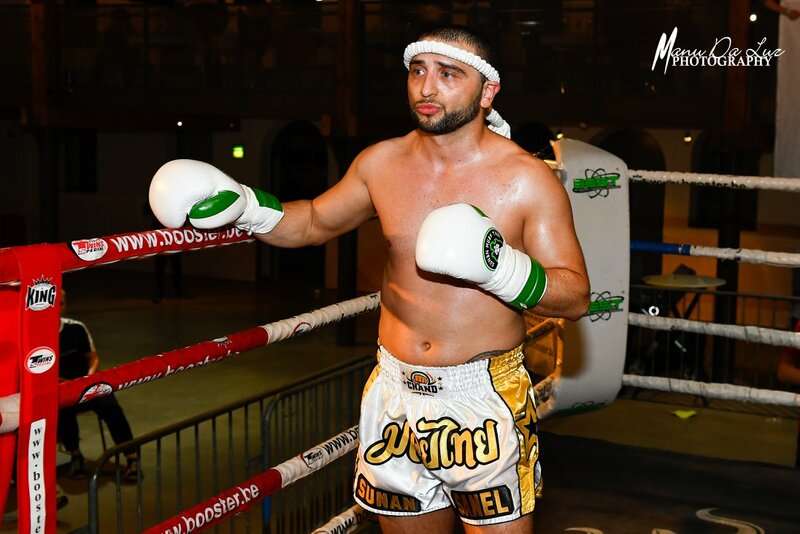 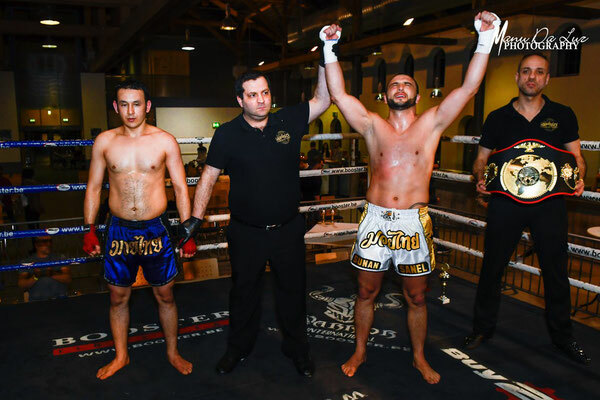 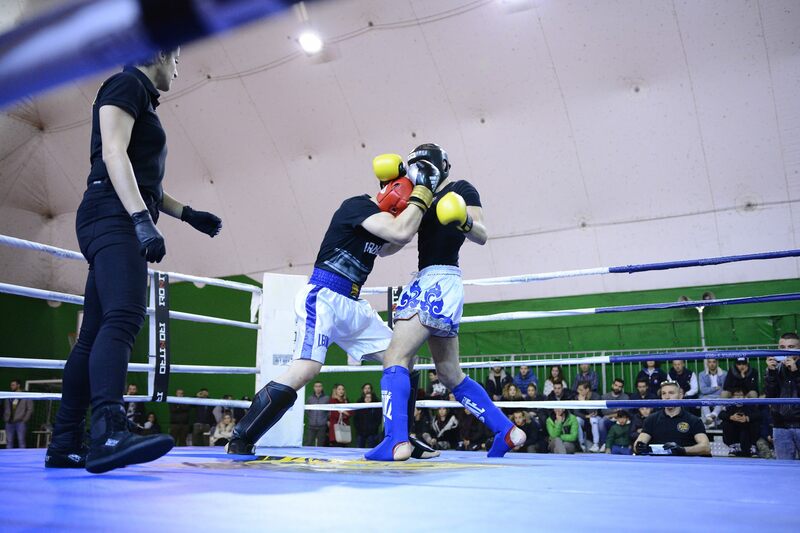 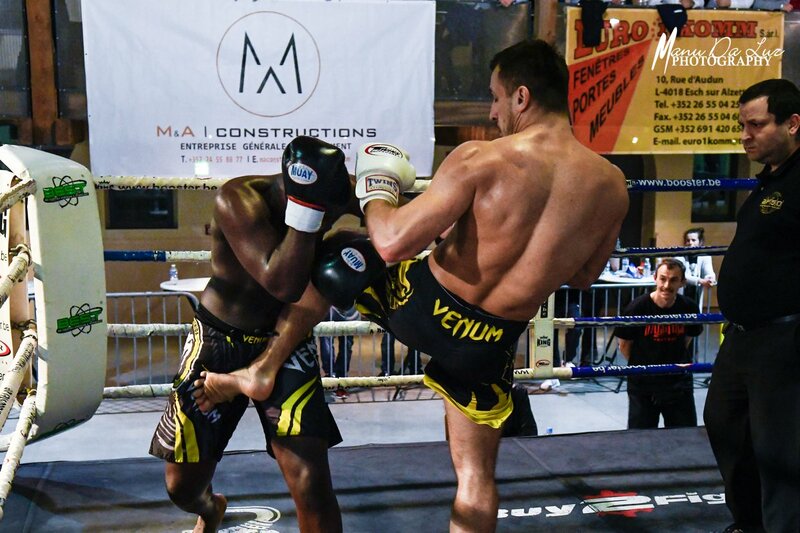 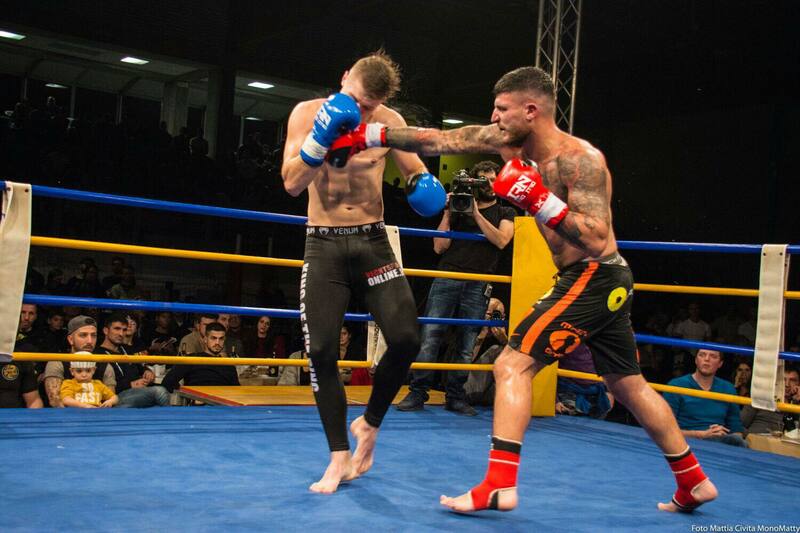 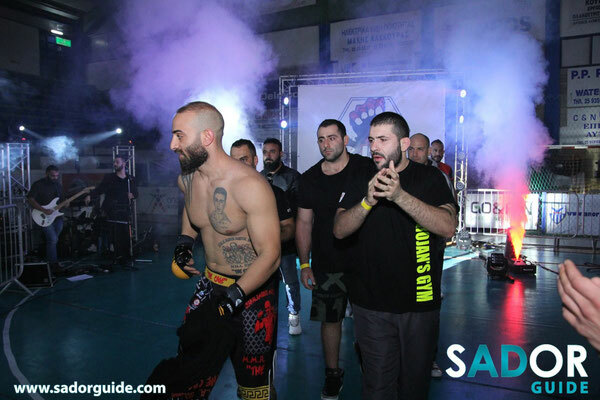 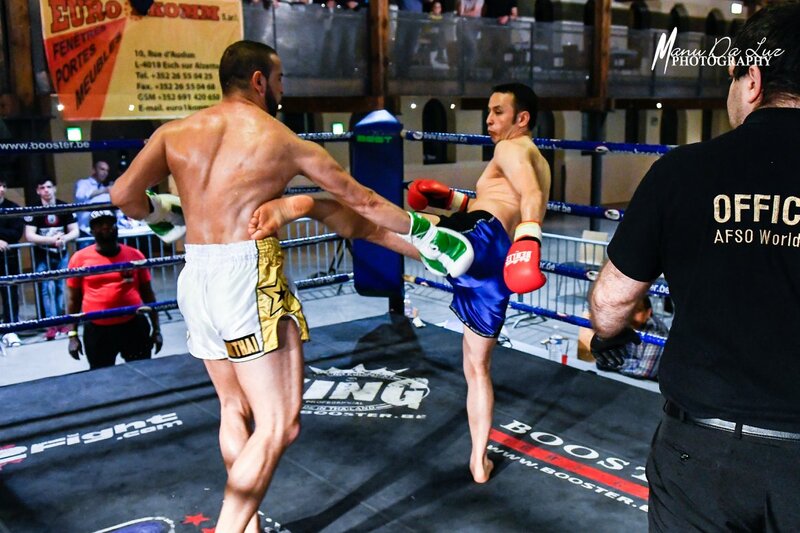 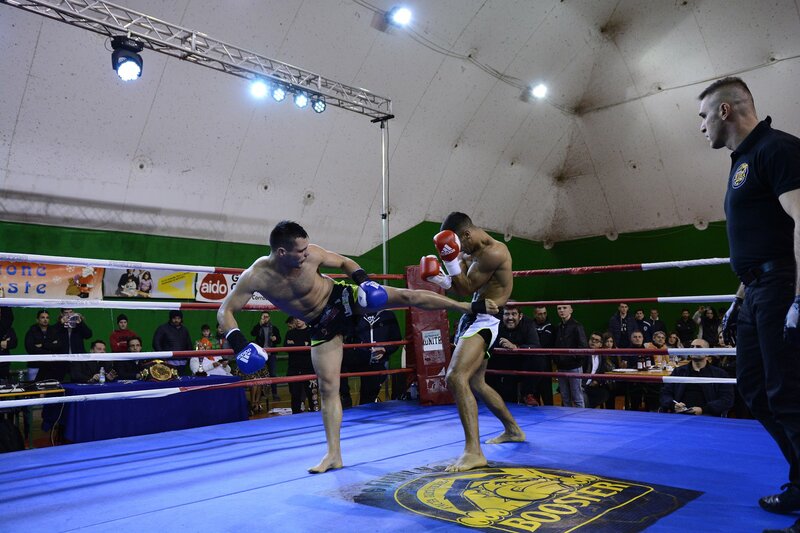 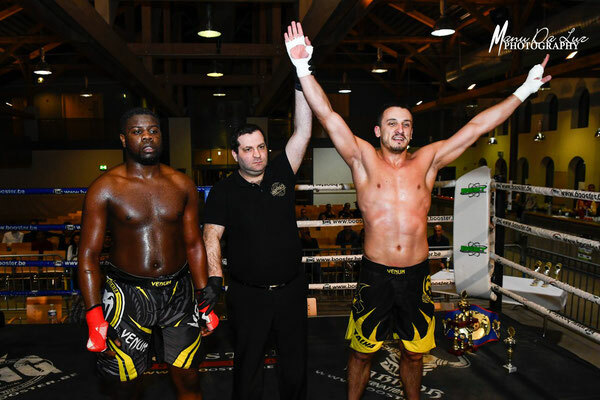 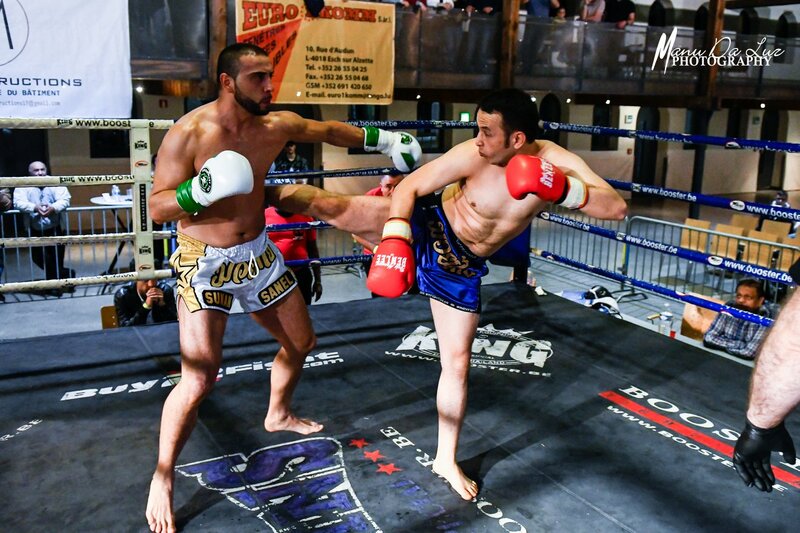 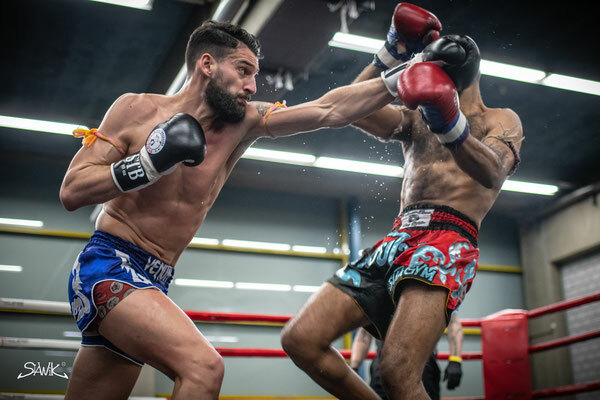 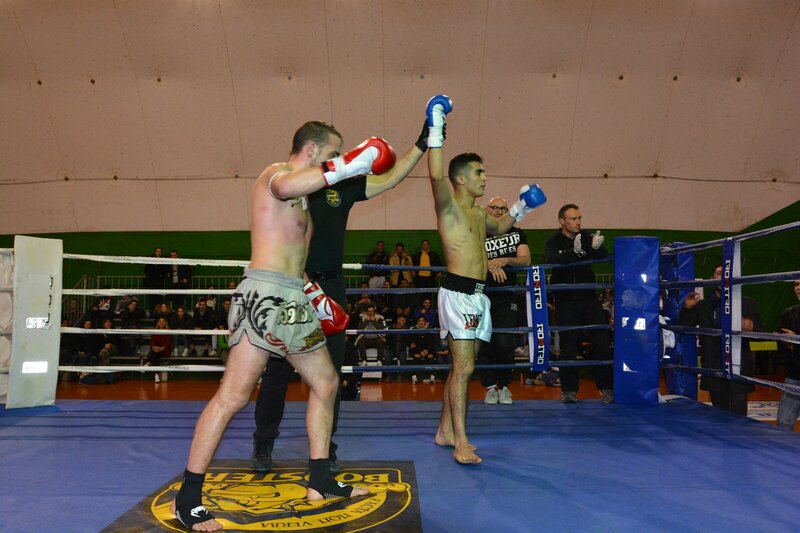 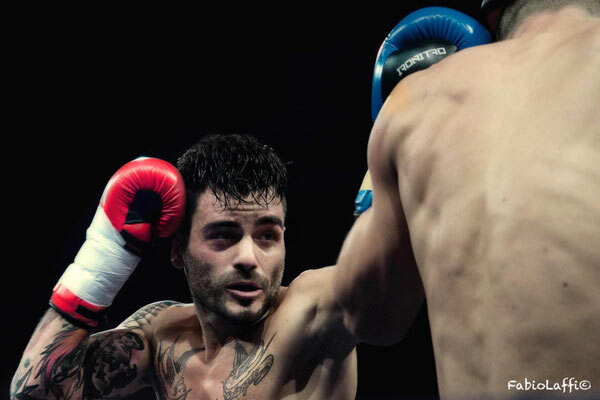 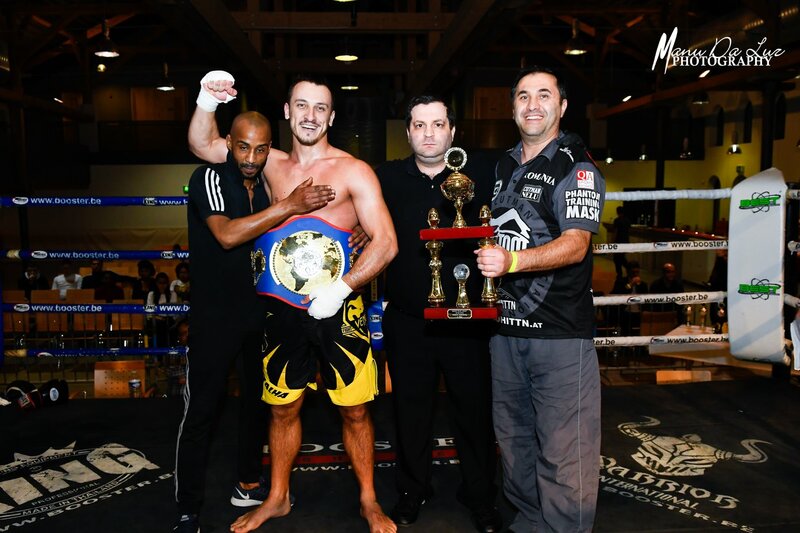 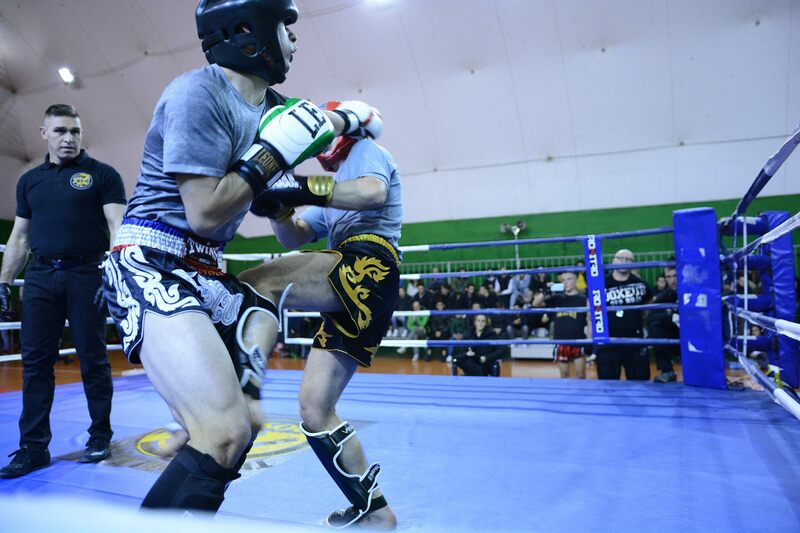 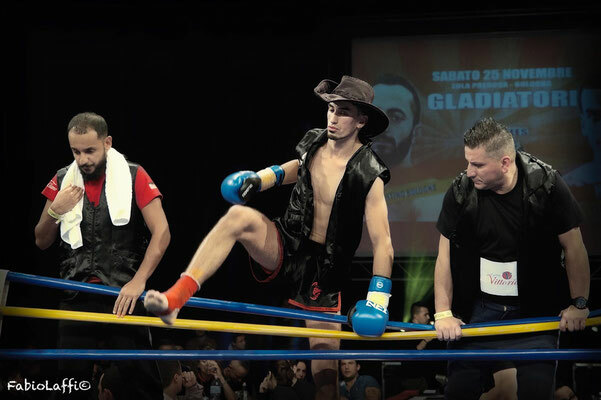 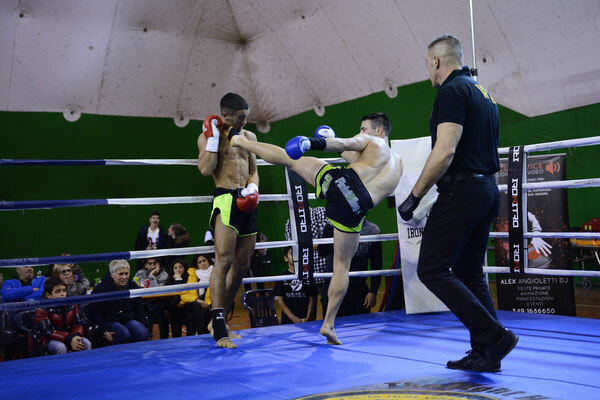 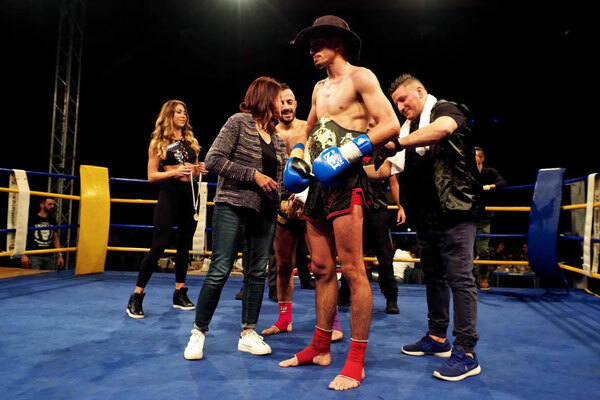 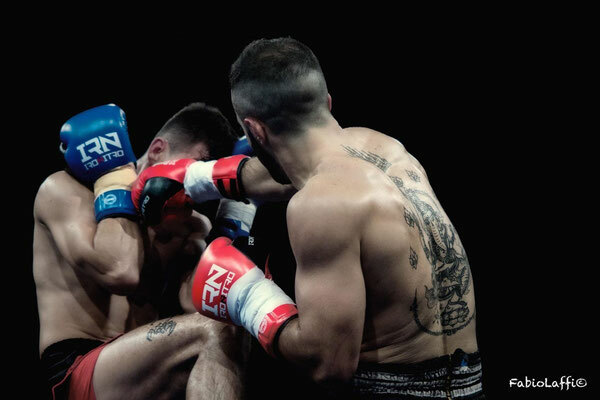 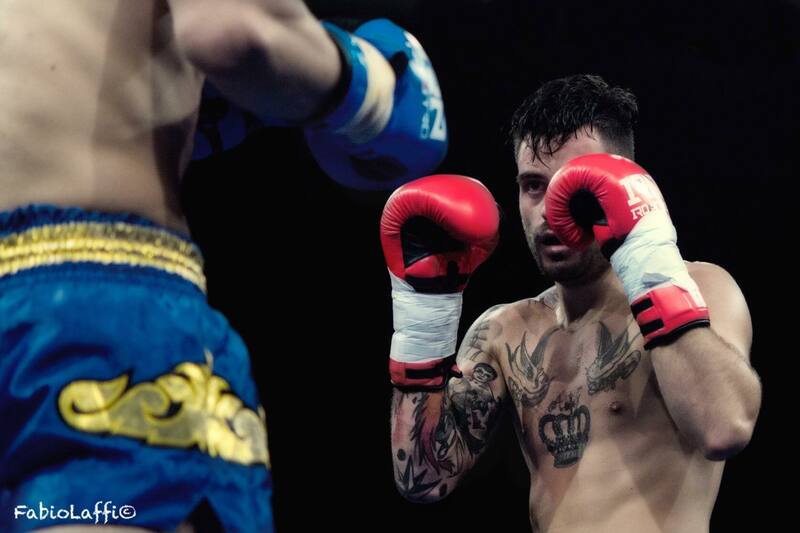 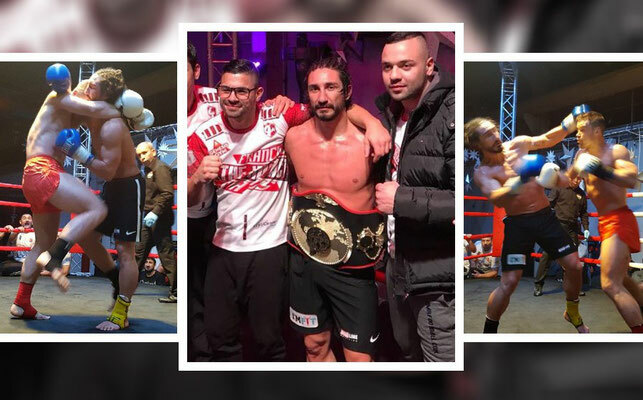 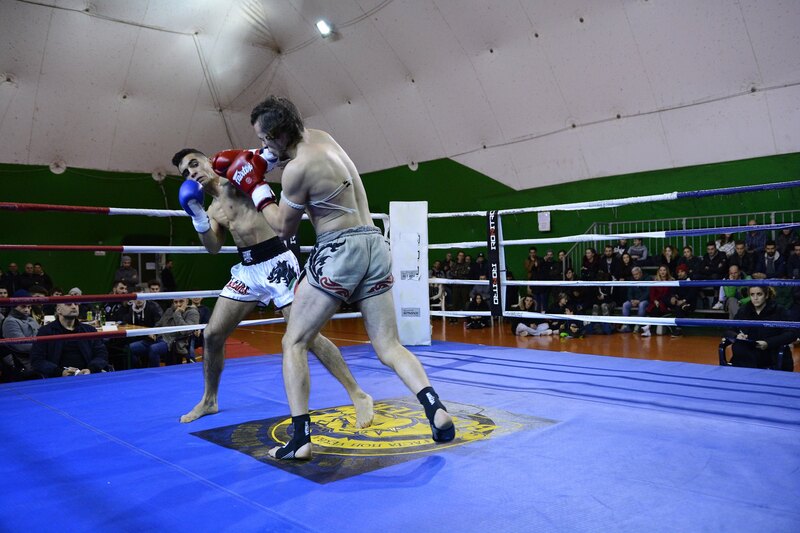 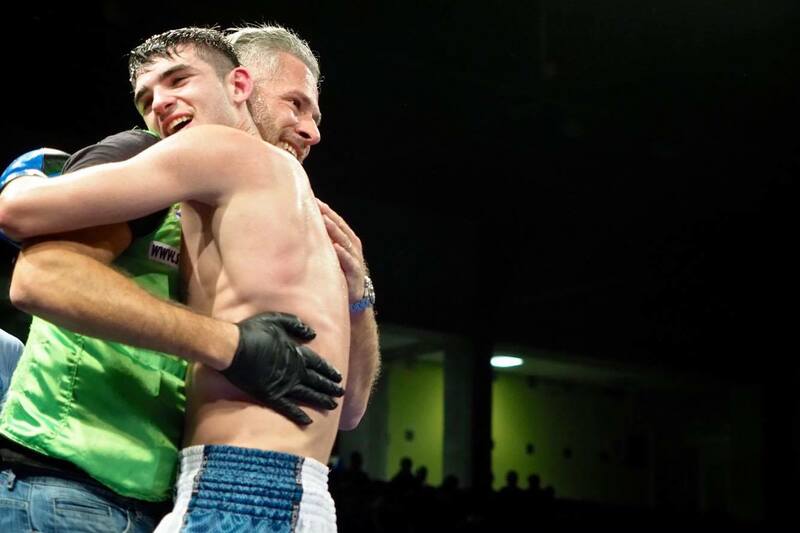 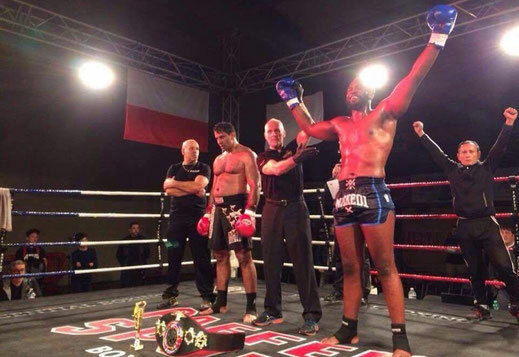 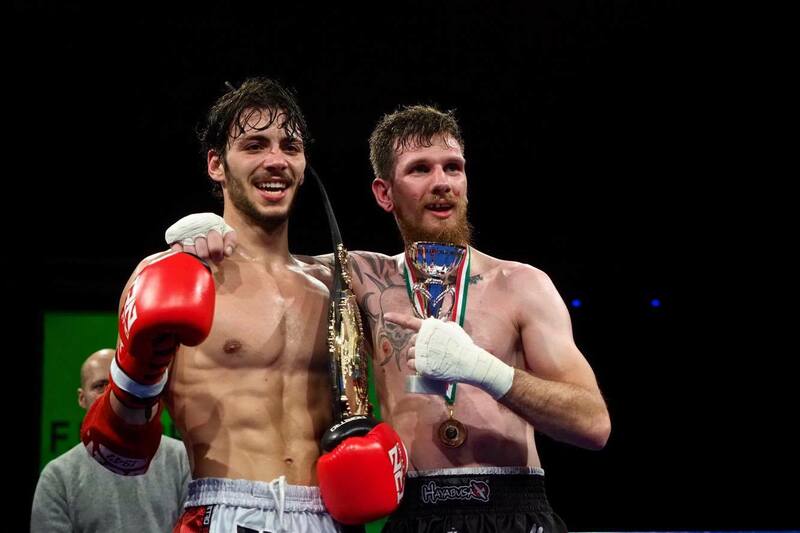 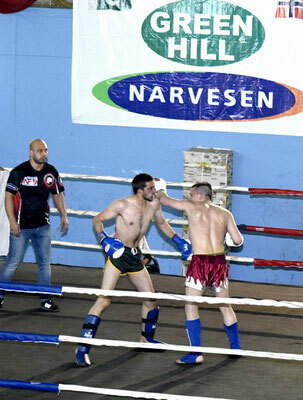 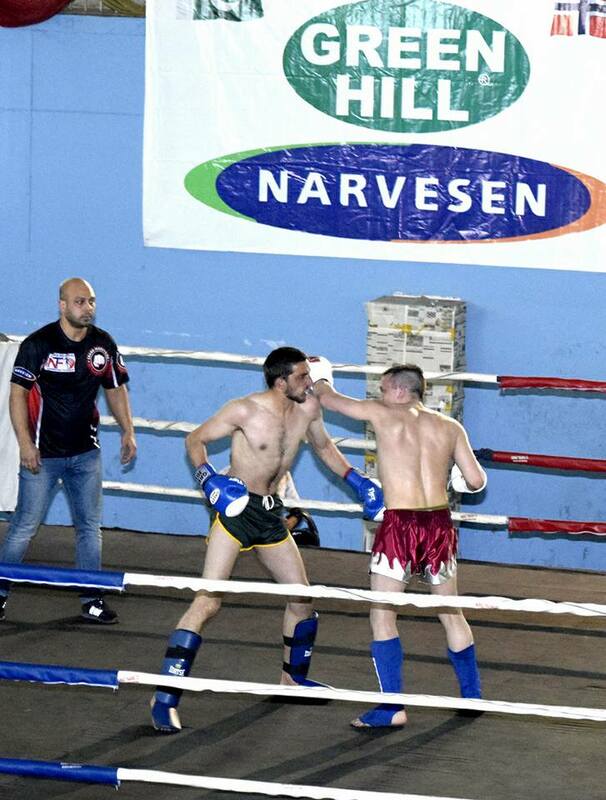 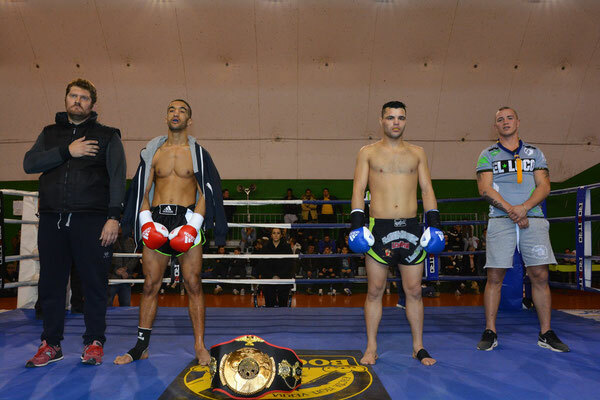 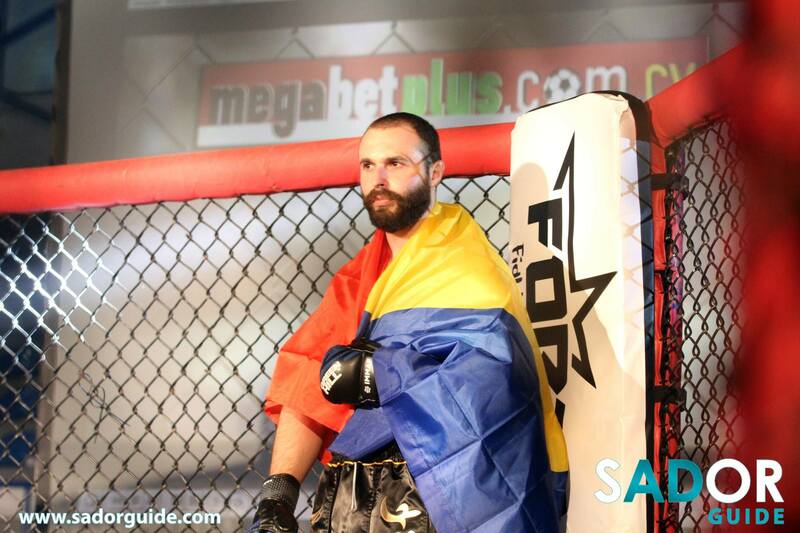 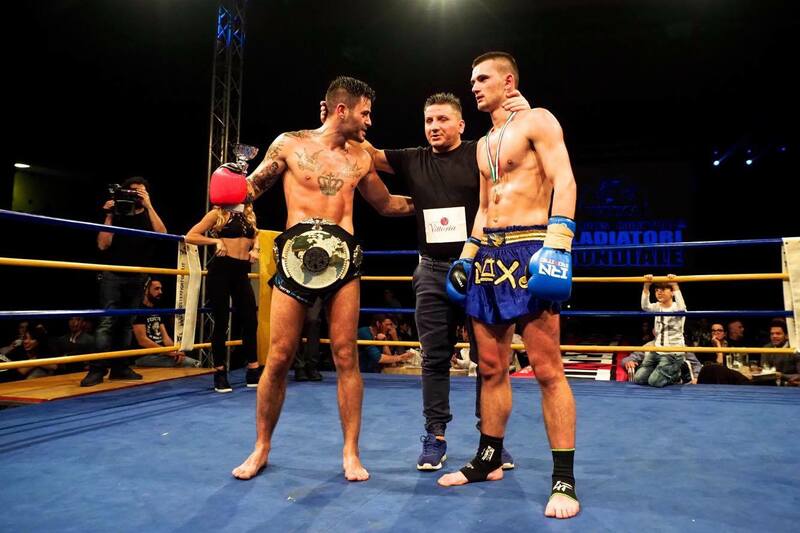 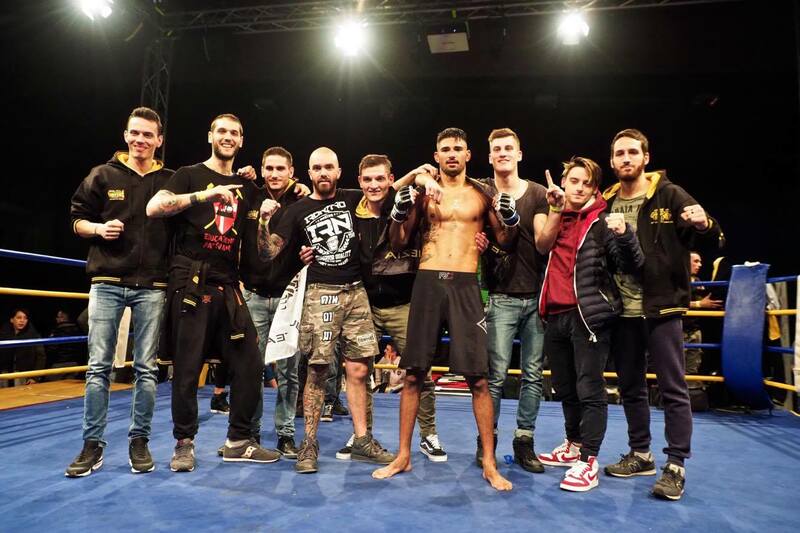 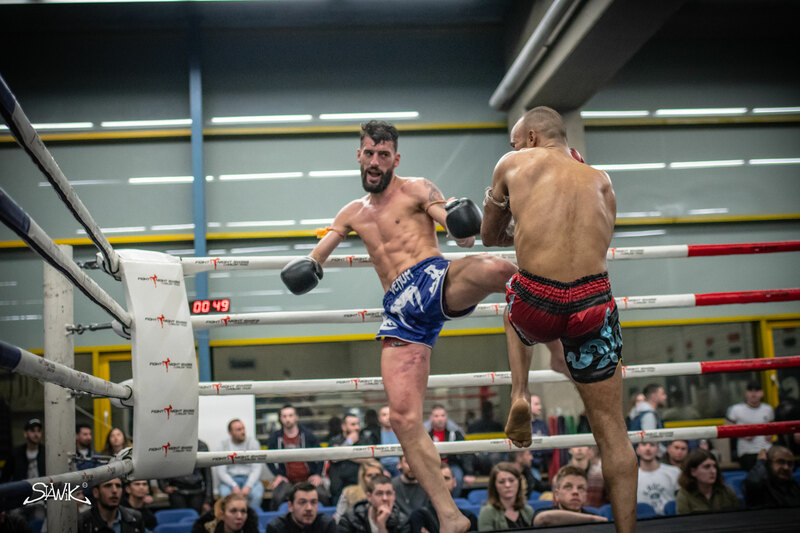 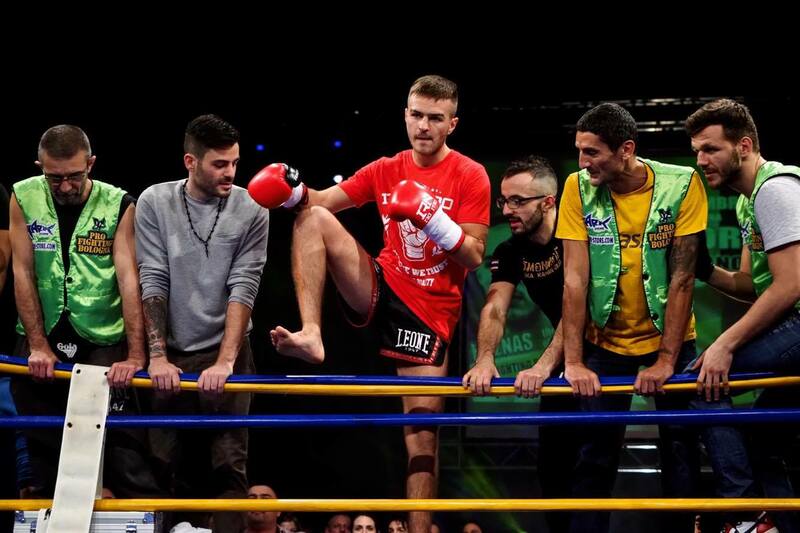 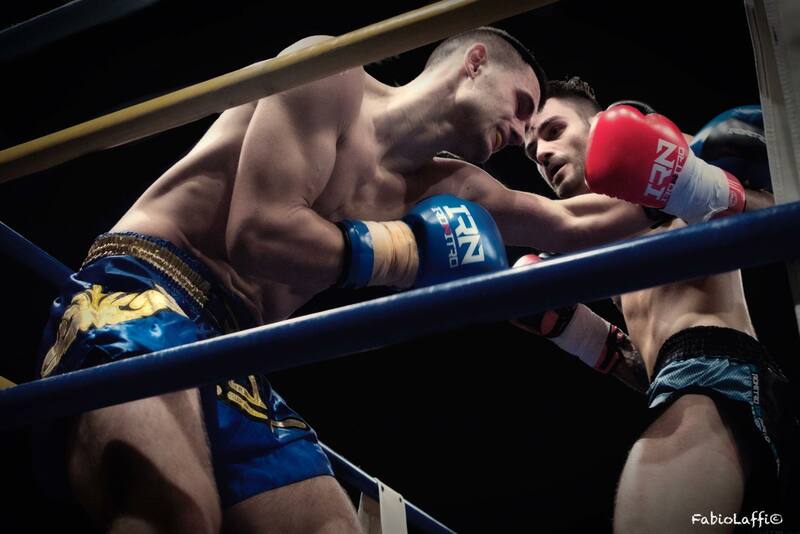 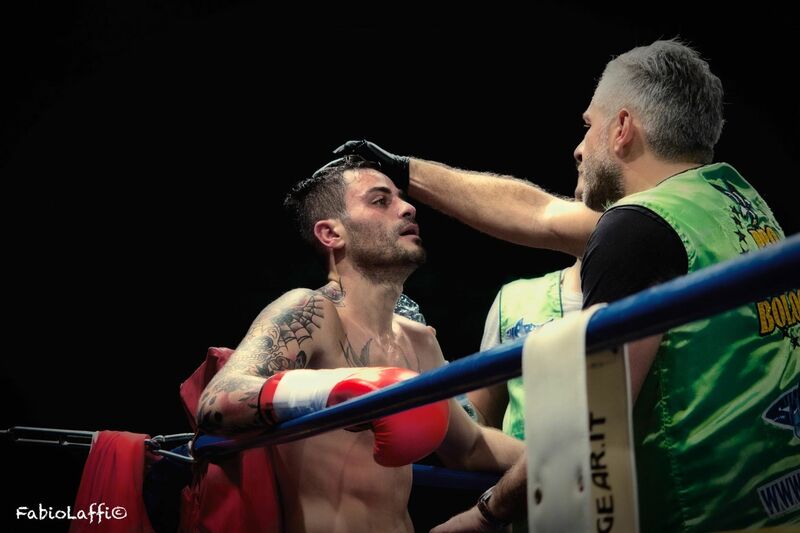 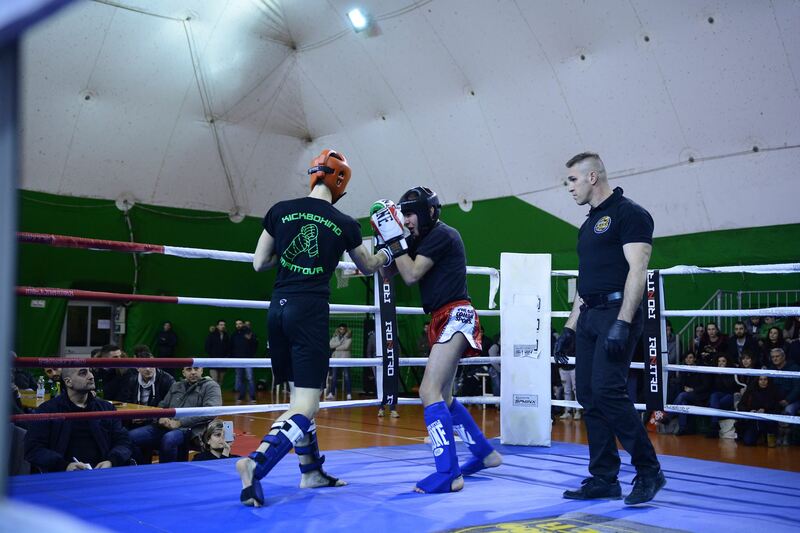 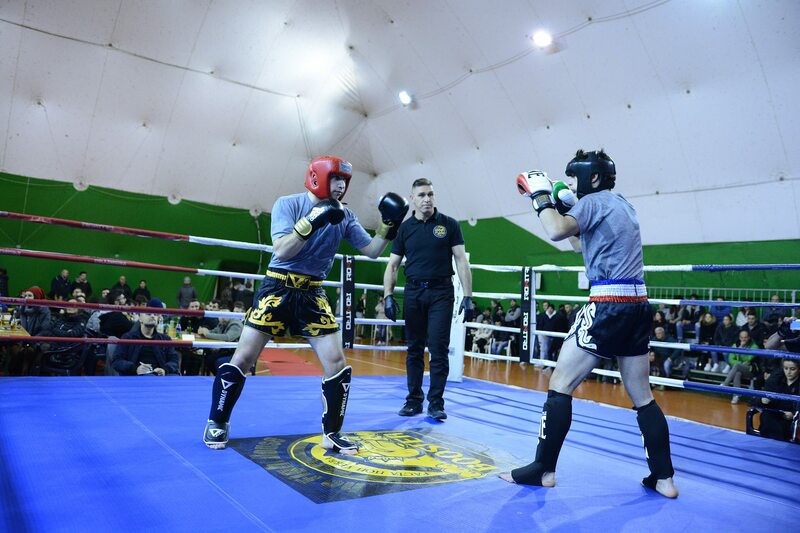 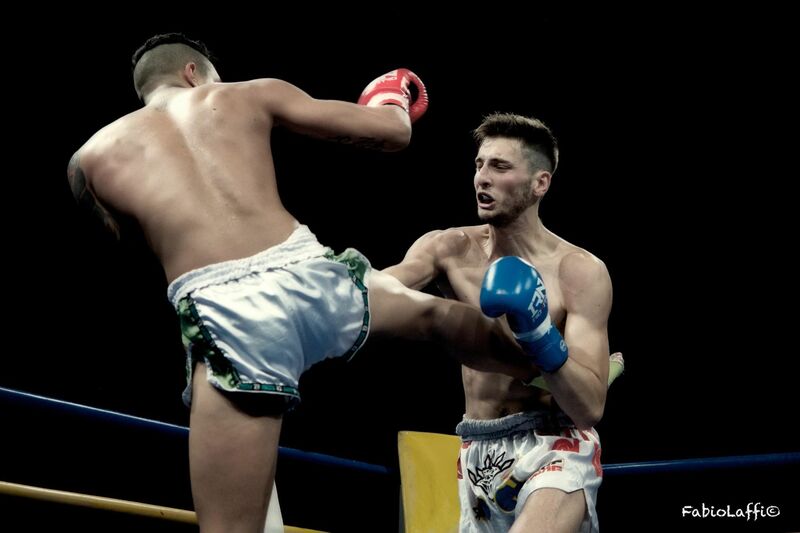 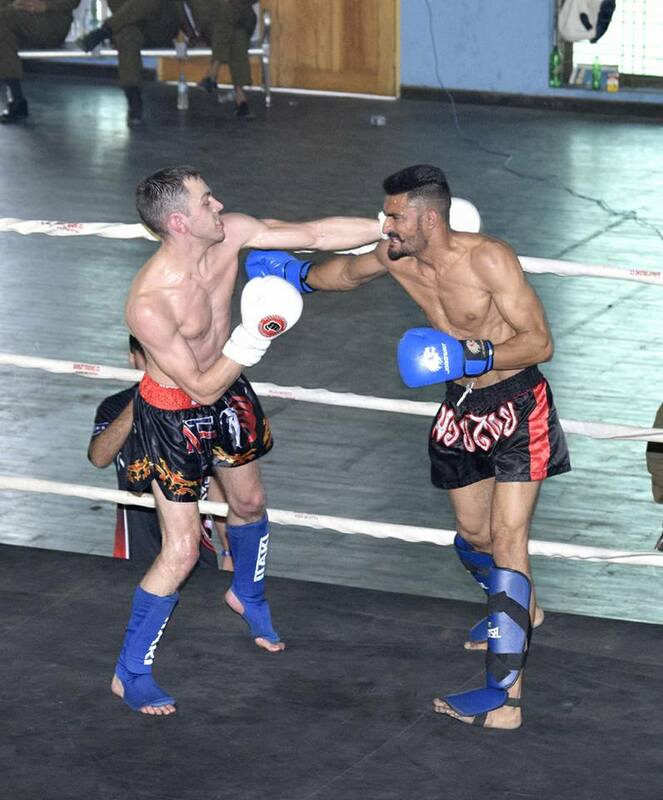 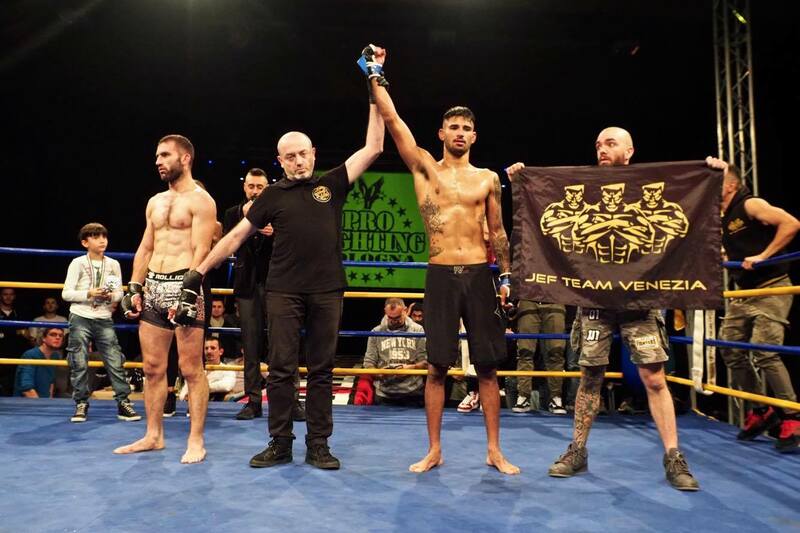 Oriental Rules Welterweight International Titlefight Christian Faustino (Italy) Vs Danut Marinca (Romania). 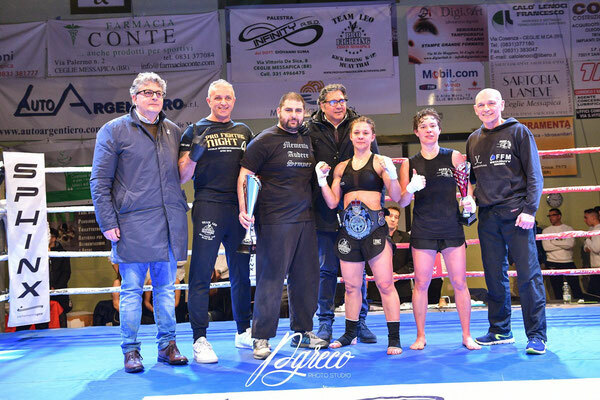 25.11.2017 Zola Predosa:A.F.S.O. 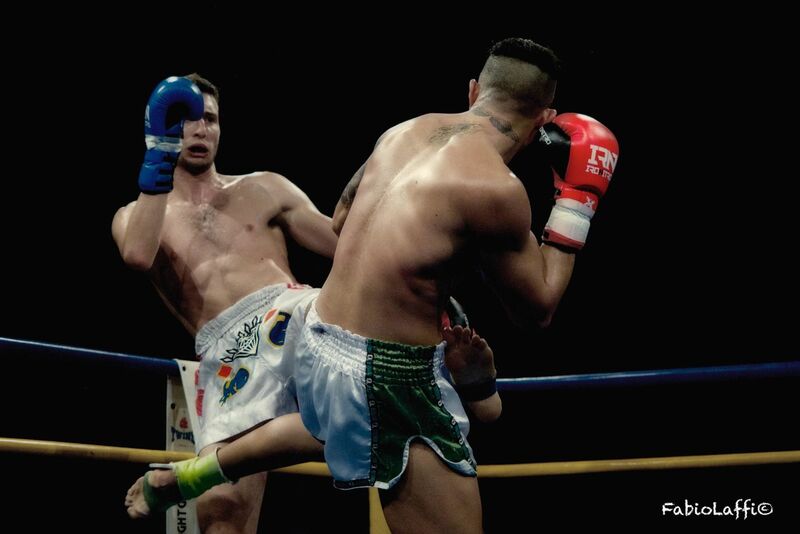 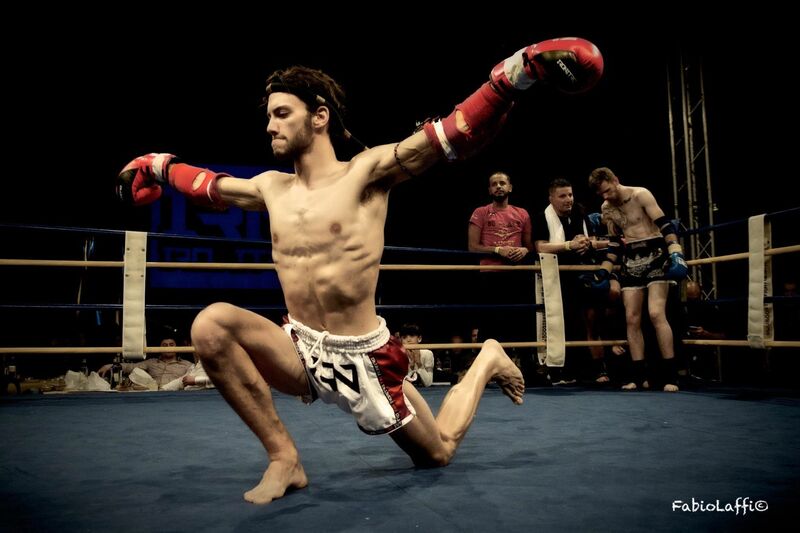 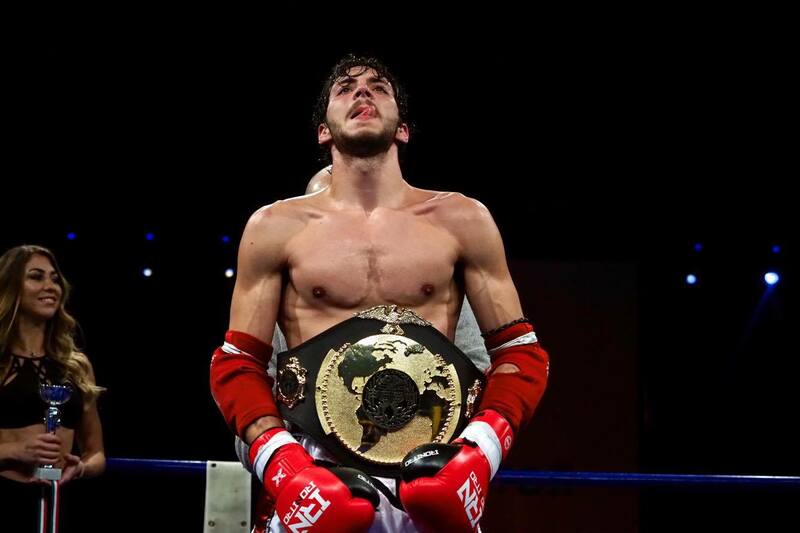 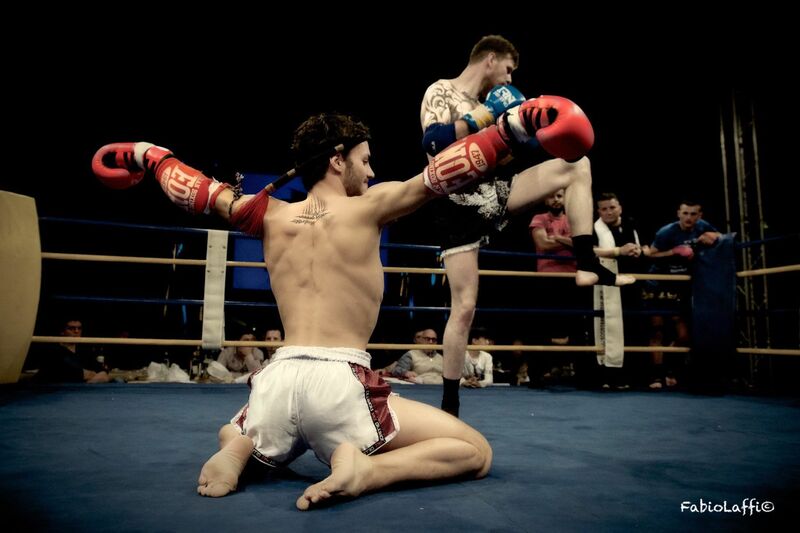 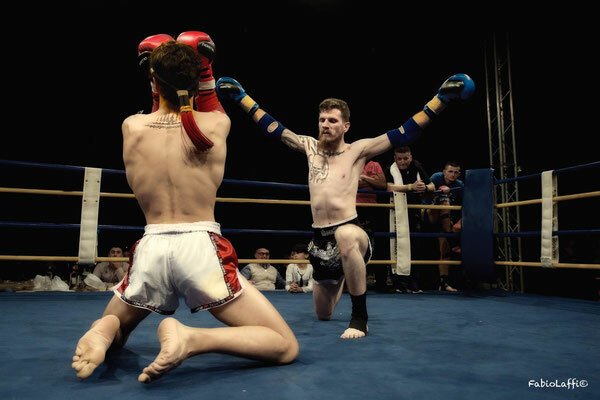 Muay Thai Welterweight International Titlefight Fabrizio Leucci (Italy) Vs Manuel Keller (Germany). 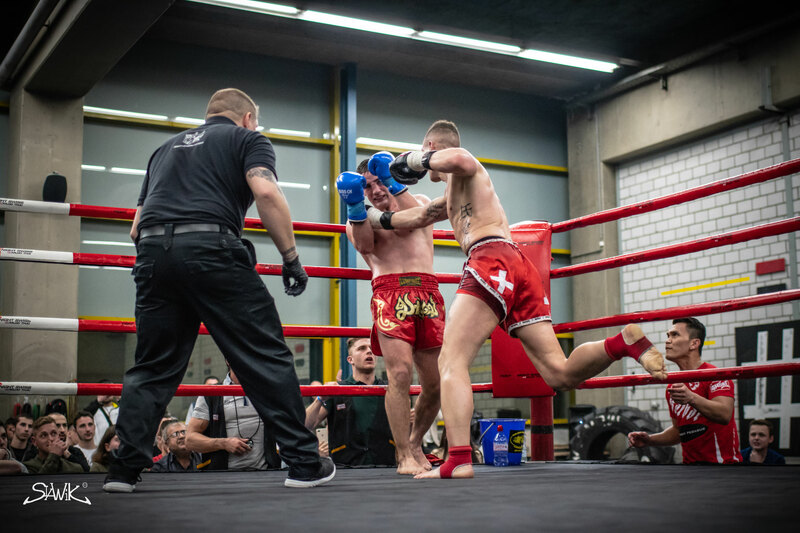 25.11.2017 Dorsten:A.F.S.O. 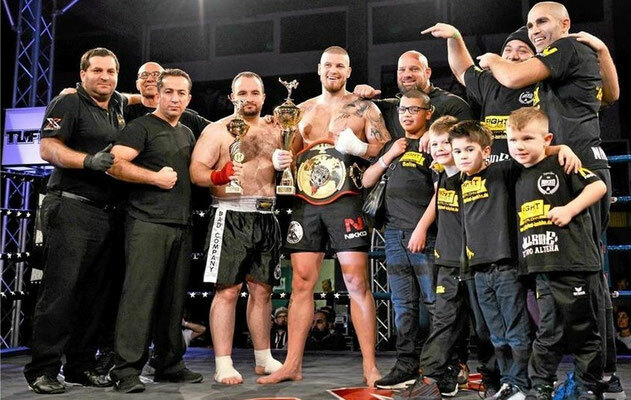 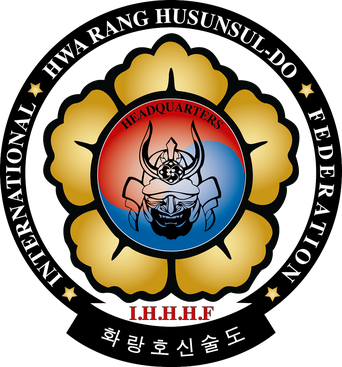 Oriental Rules Superheavyweight World Titlefight Hassan Kurnaz (TUR/GER) Vs André Langen (Germany). 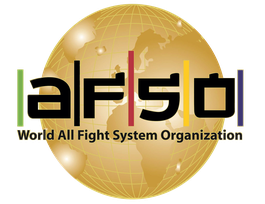 25.11.2017 Dorsten:A.F.S.O. 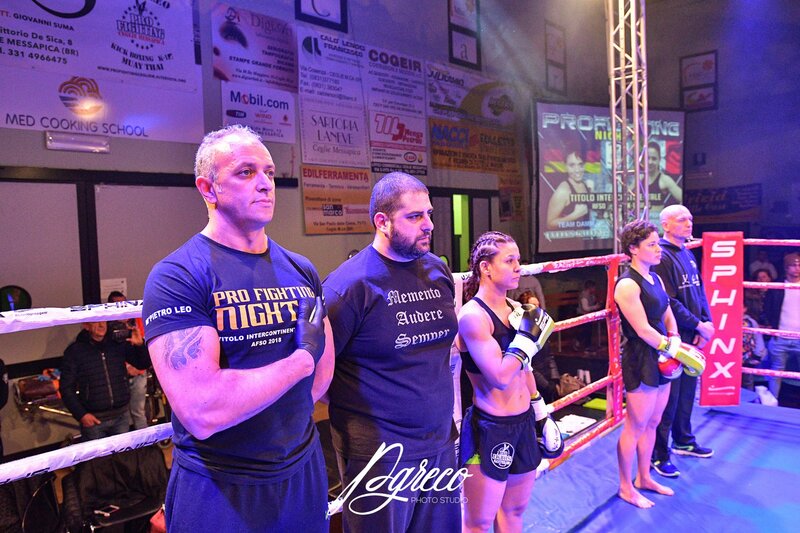 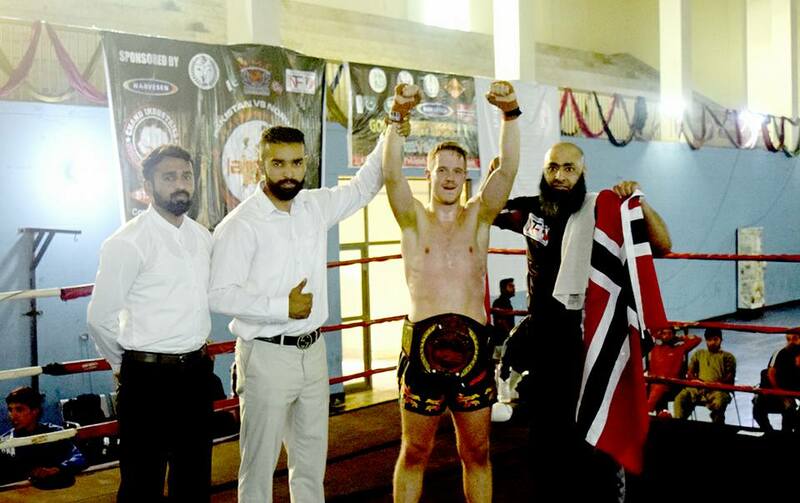 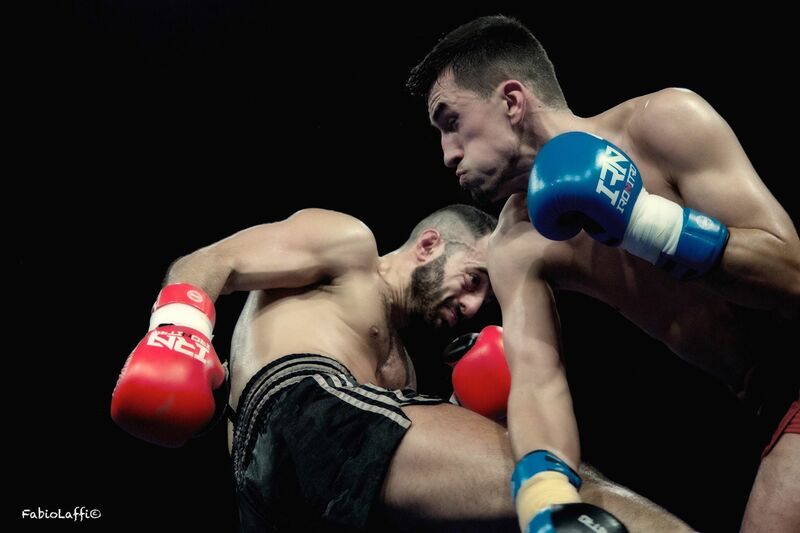 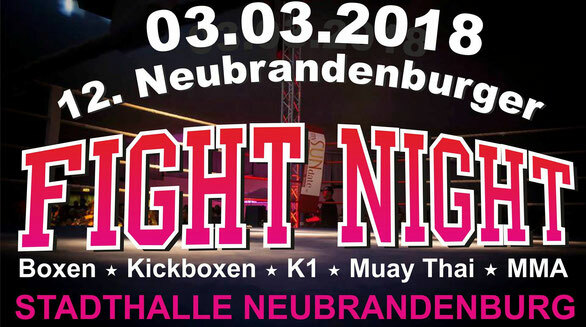 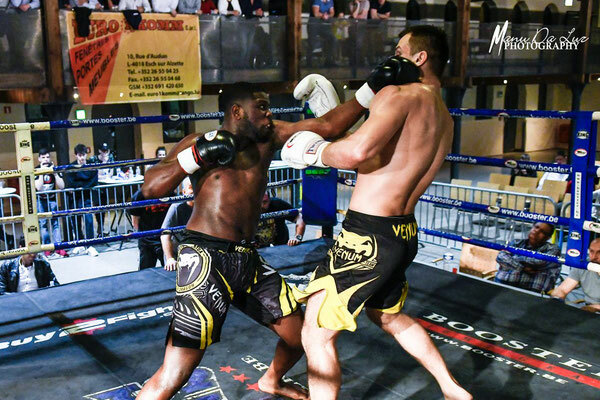 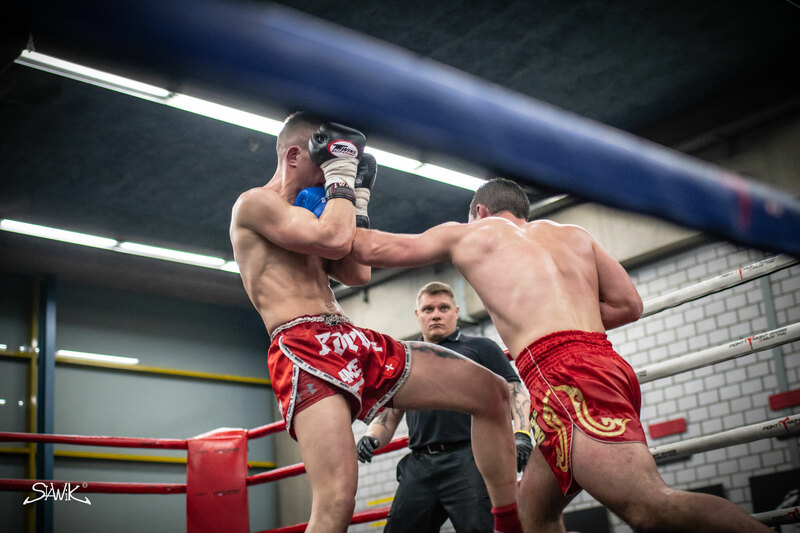 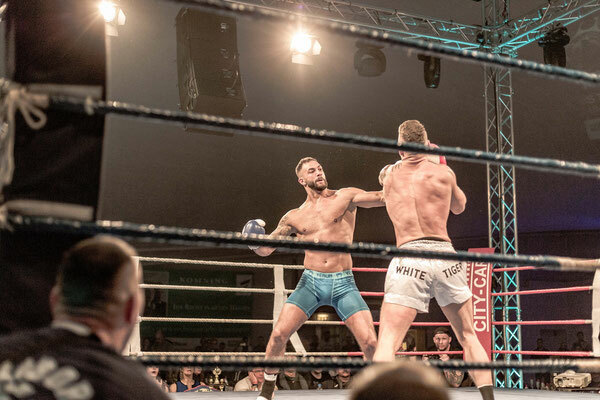 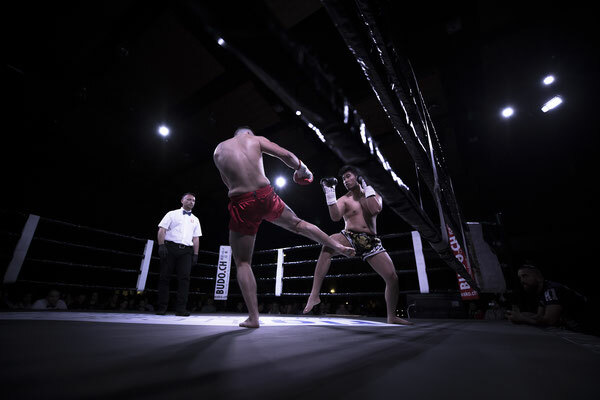 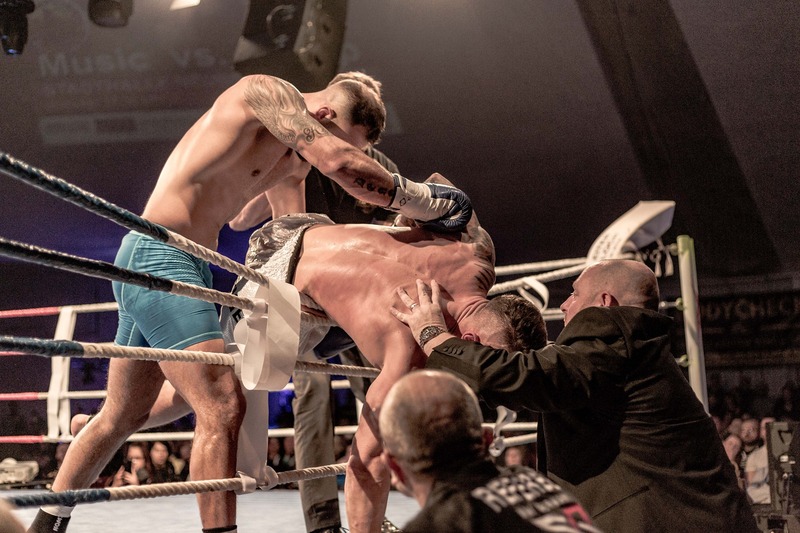 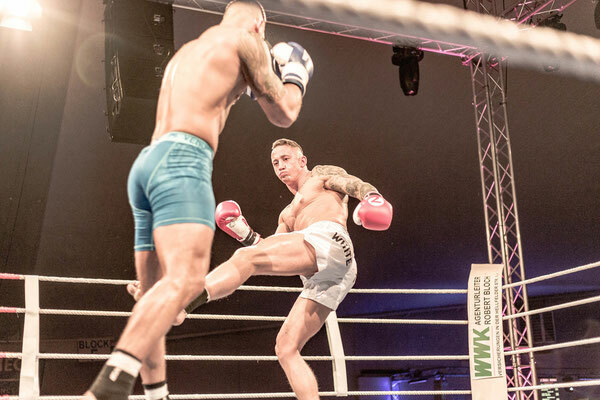 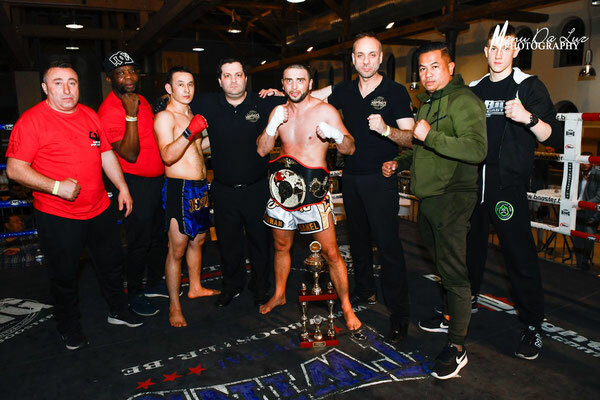 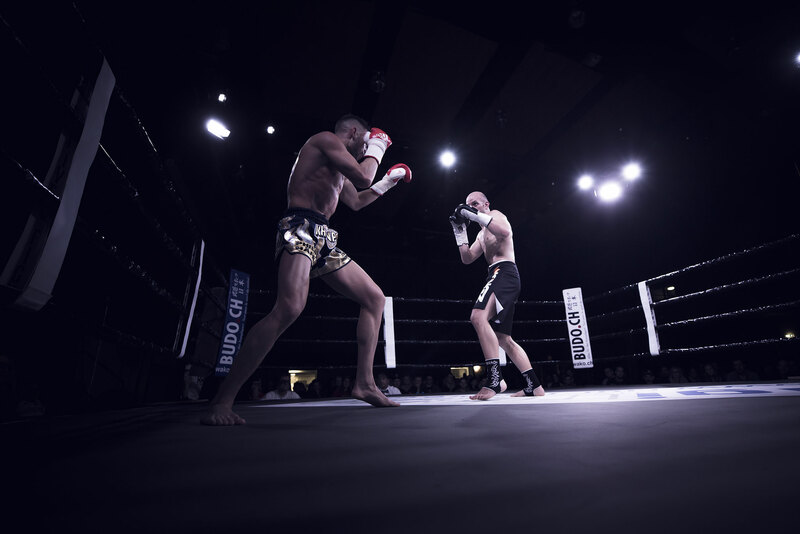 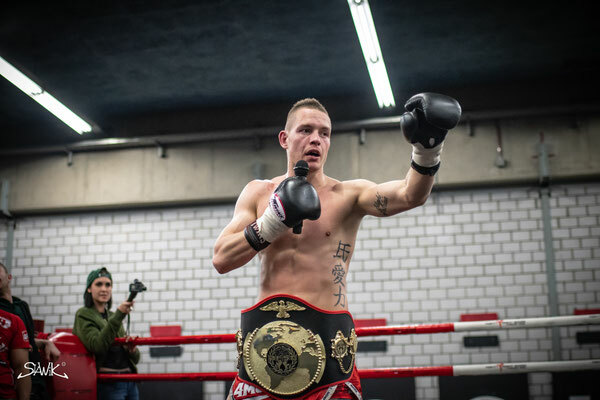 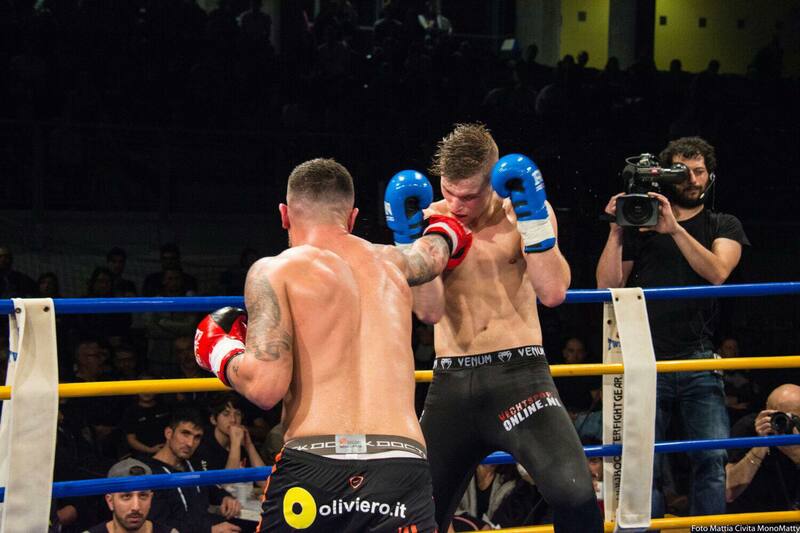 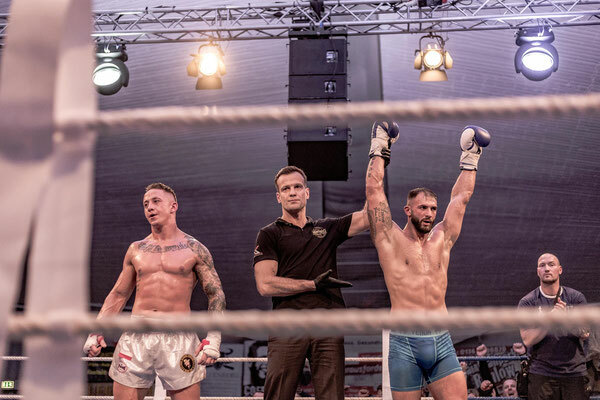 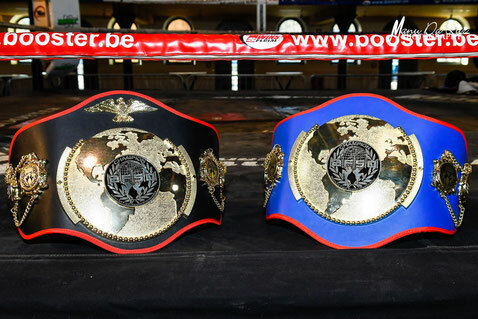 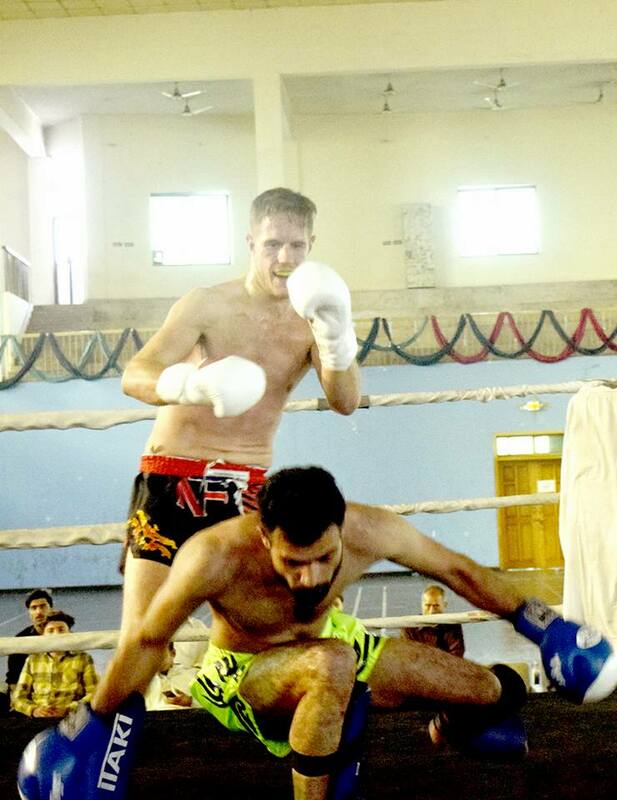 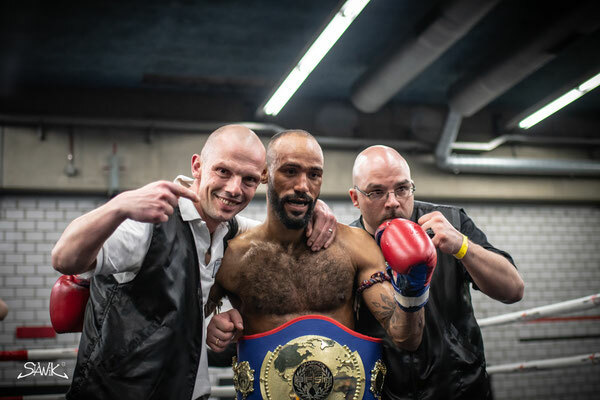 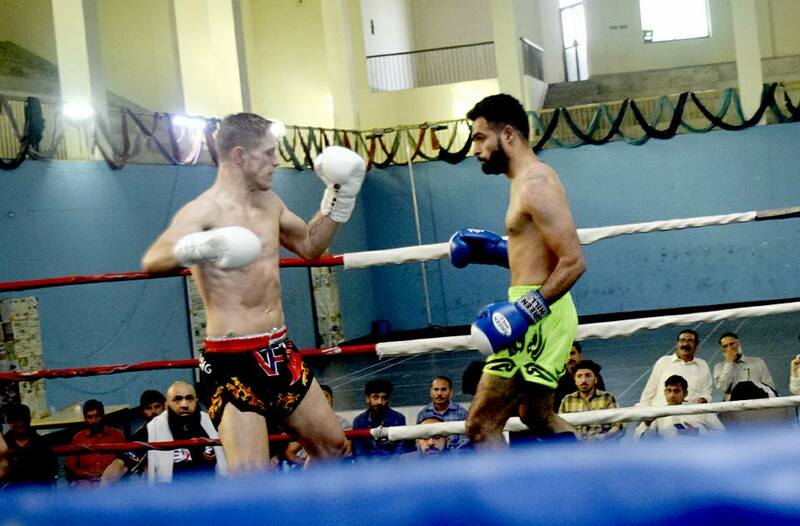 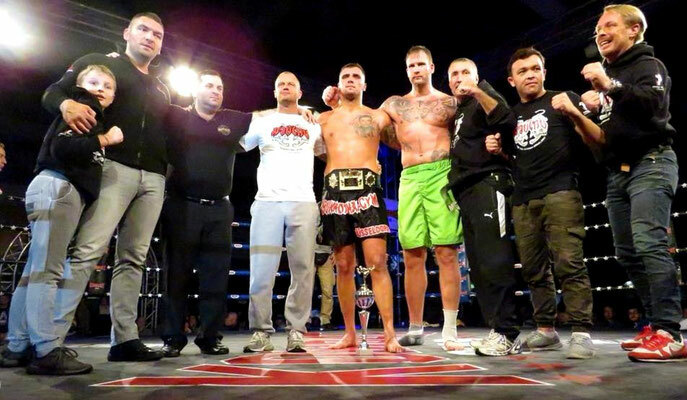 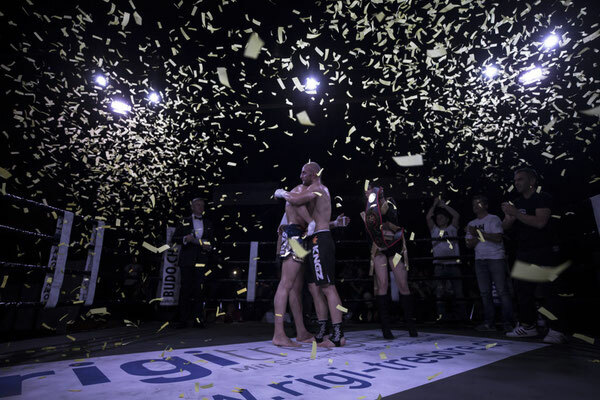 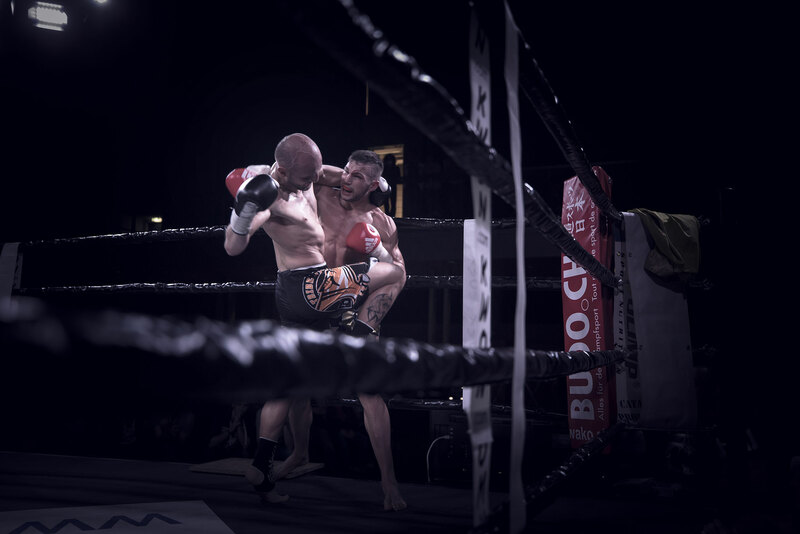 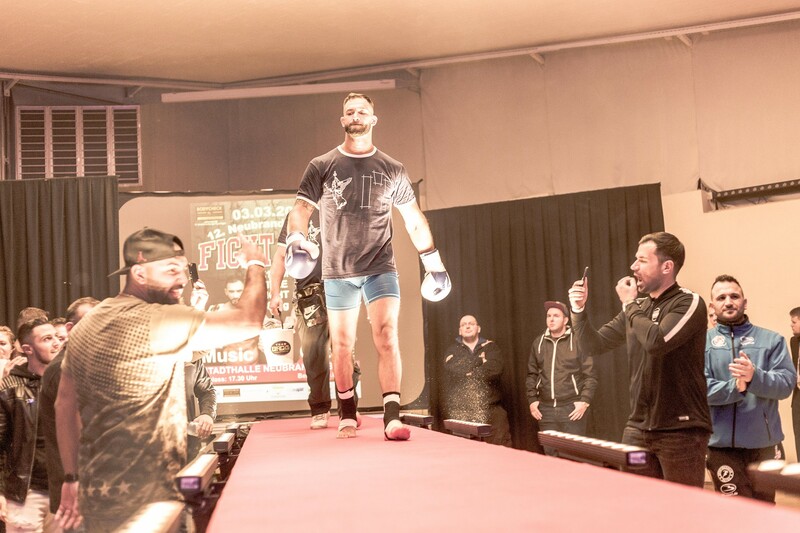 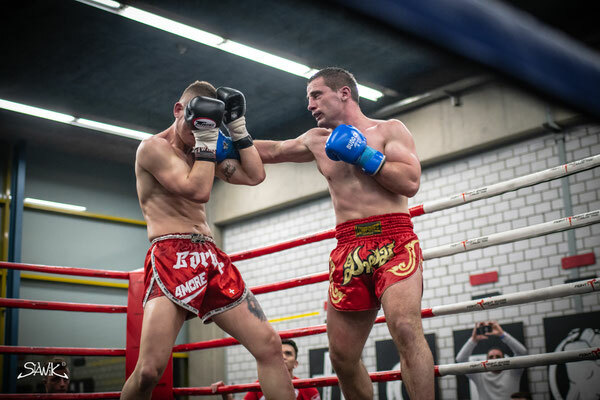 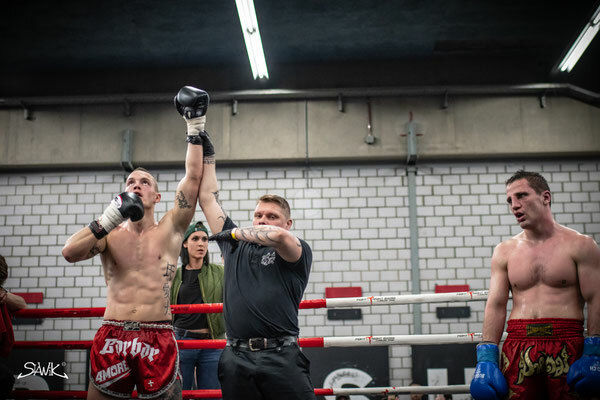 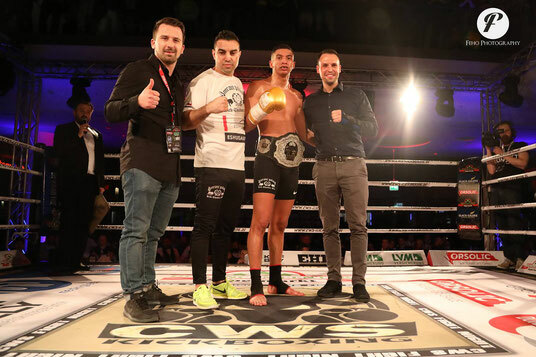 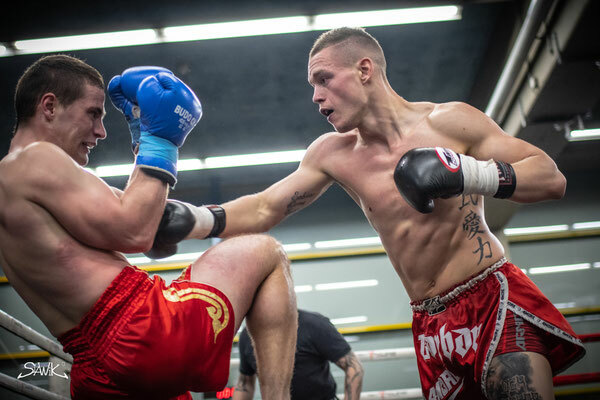 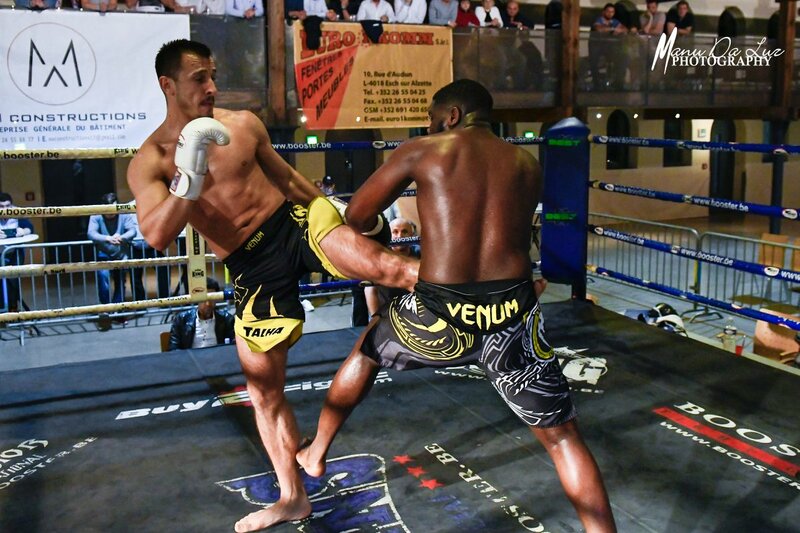 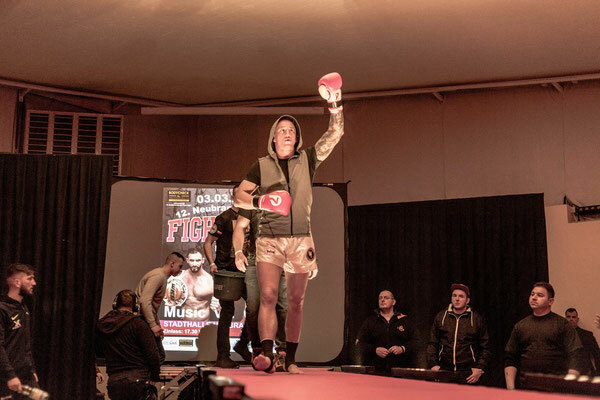 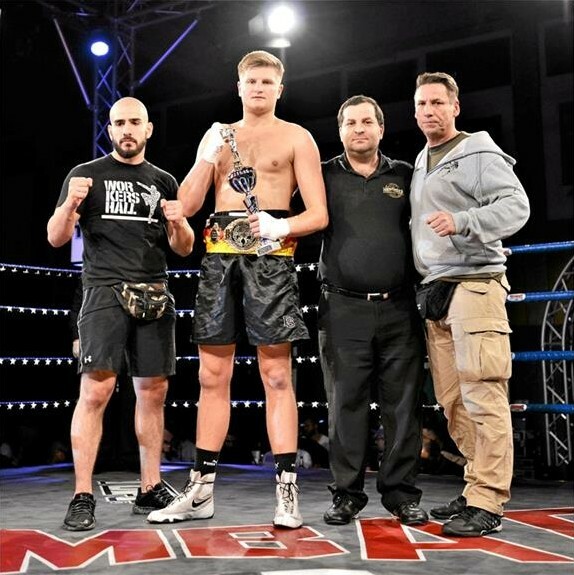 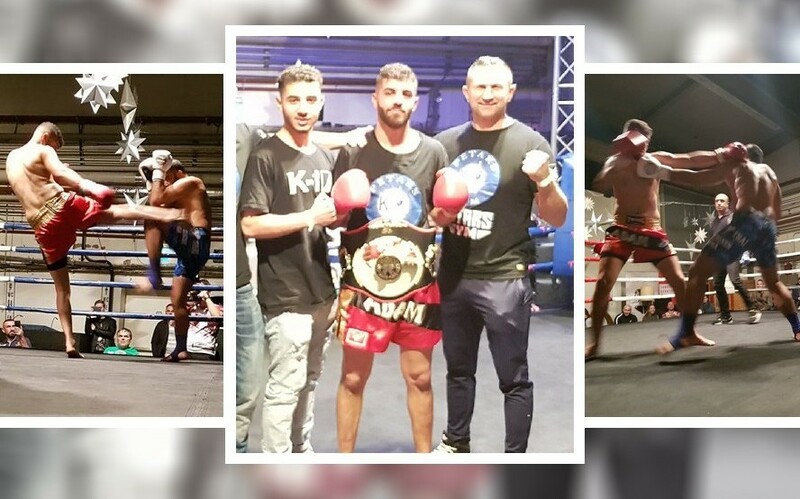 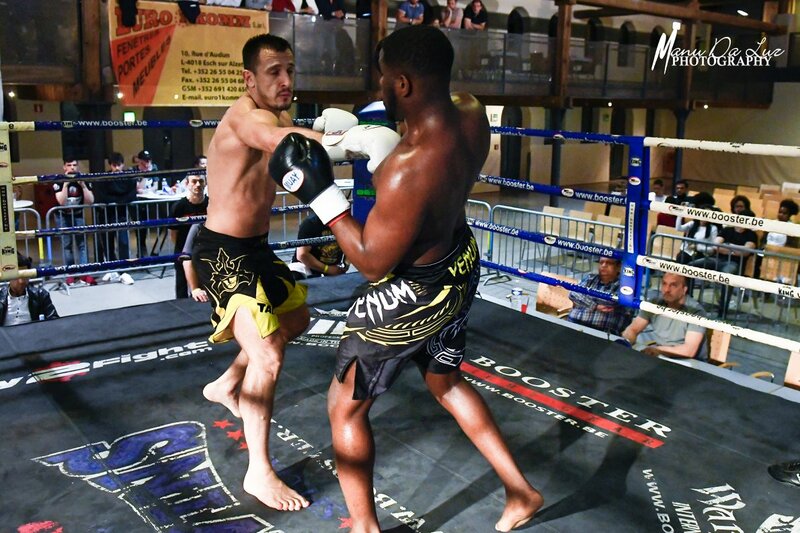 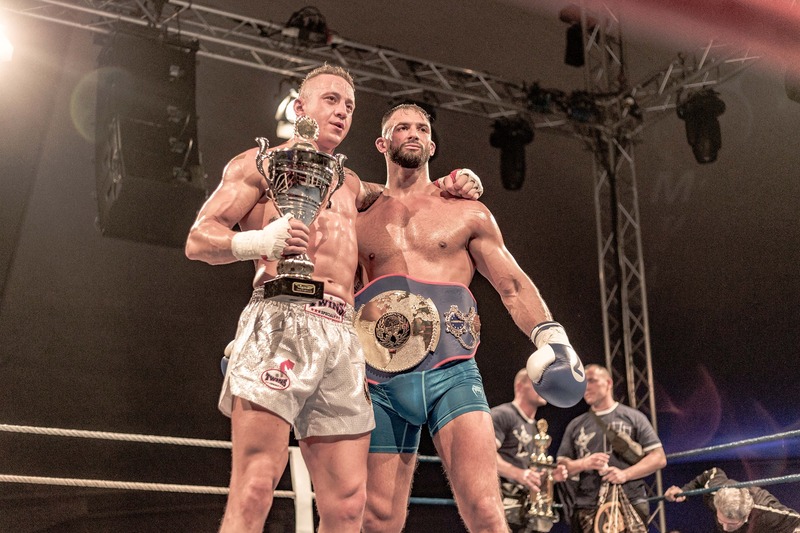 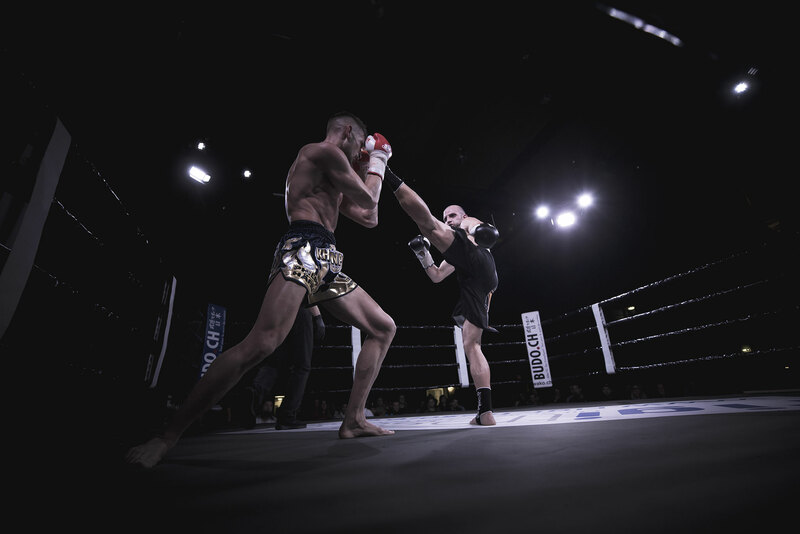 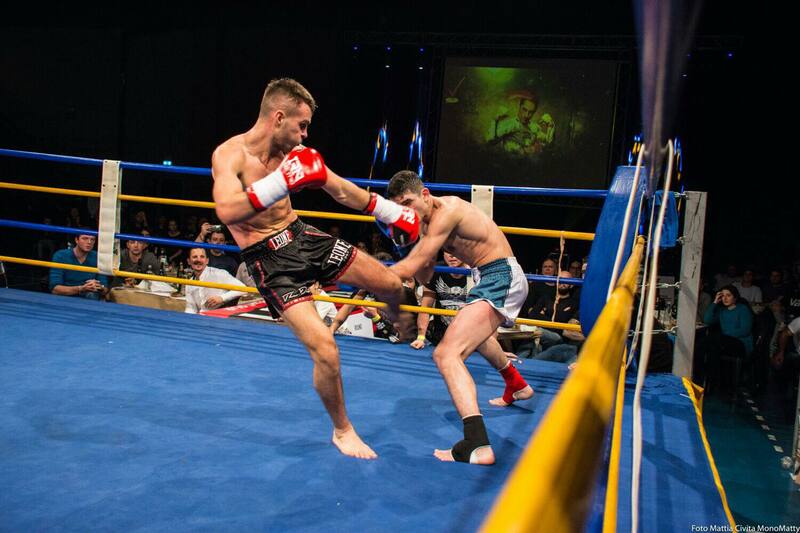 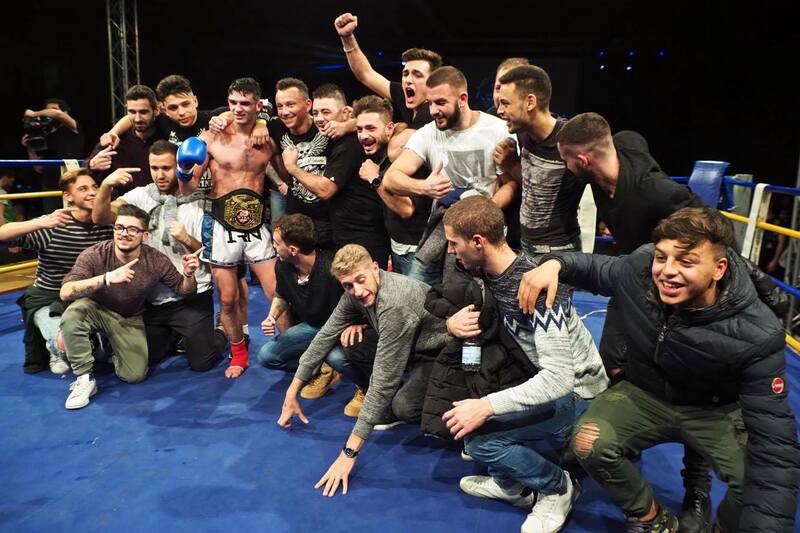 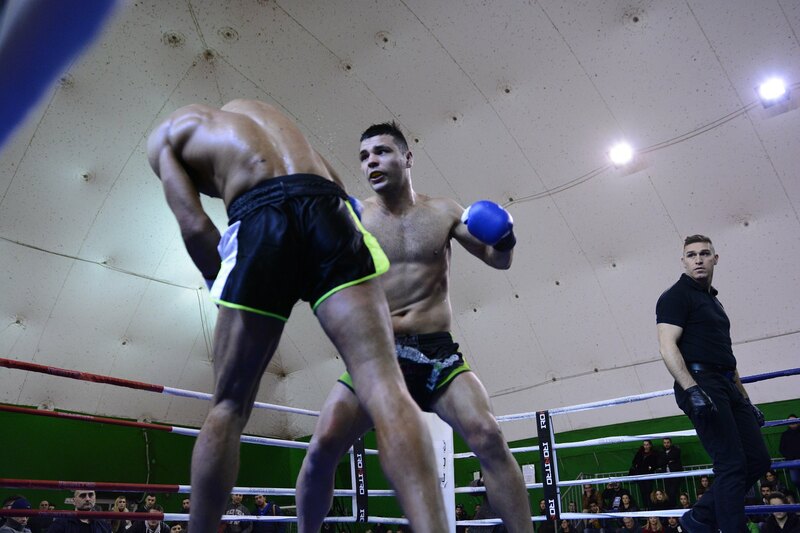 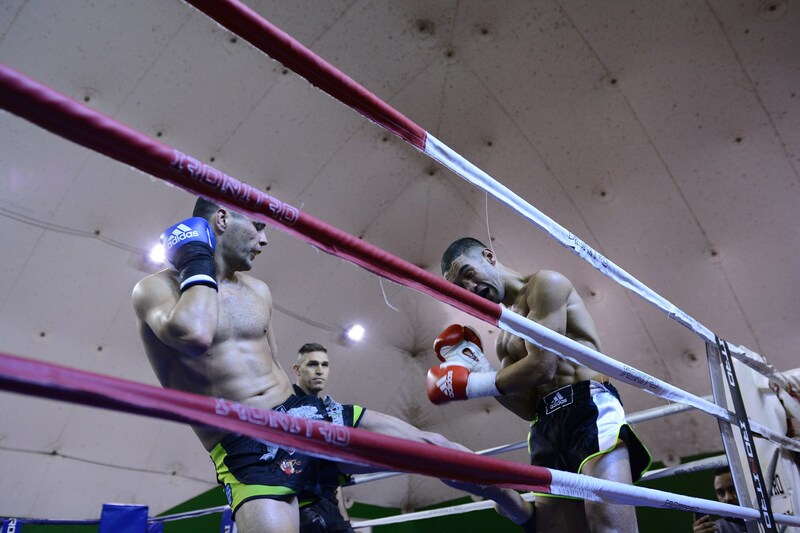 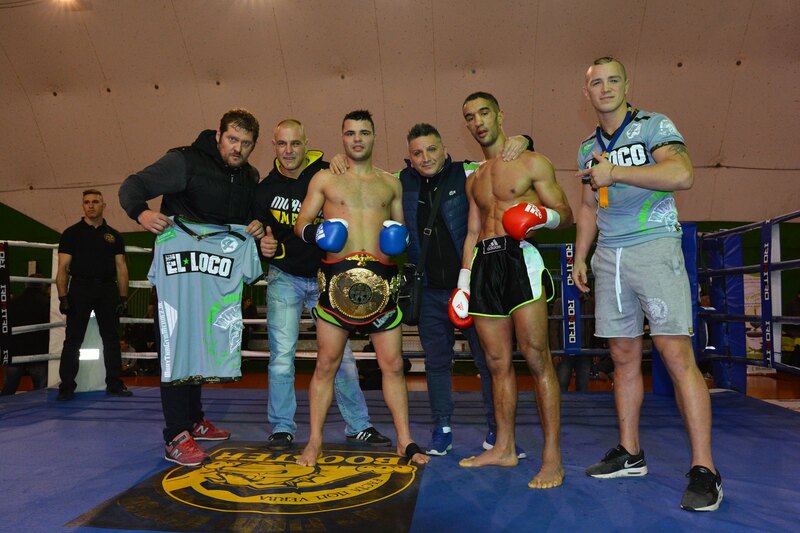 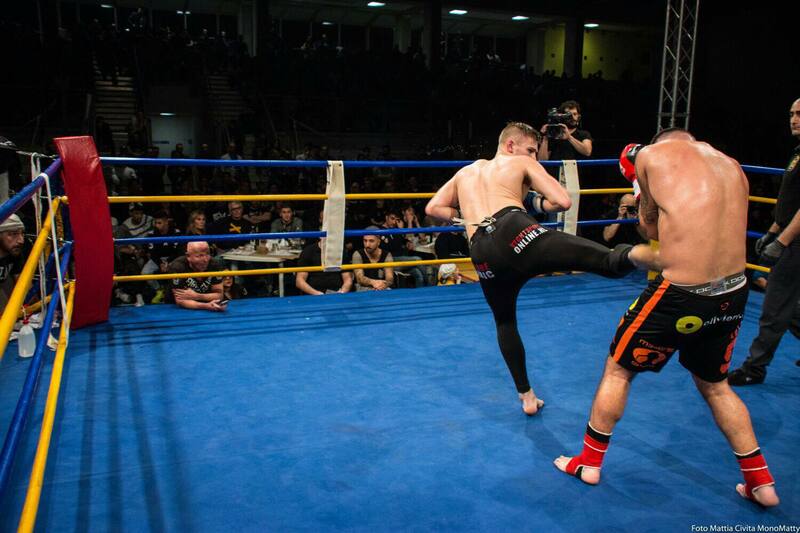 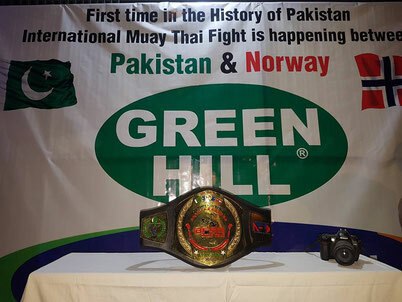 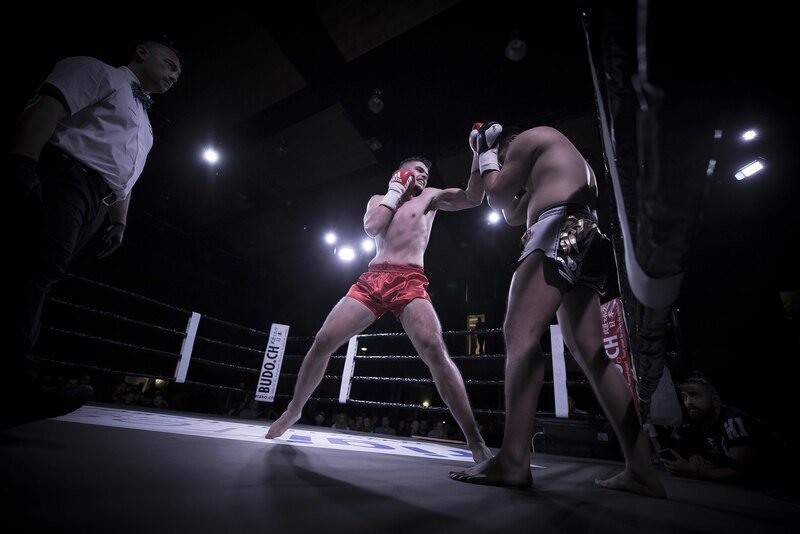 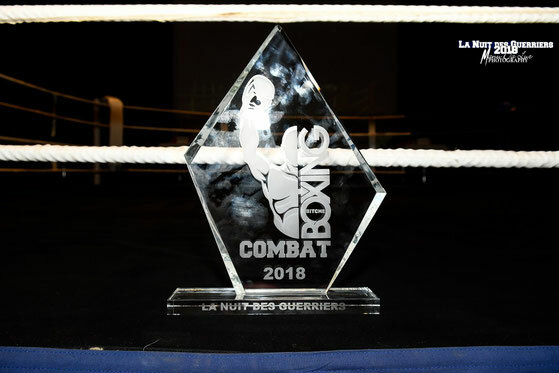 Pro/Am Oriental Rules Middleweight European Titlefight Joe Banaschewski (Germany) Vs Thierry Mosimann (Suisse). 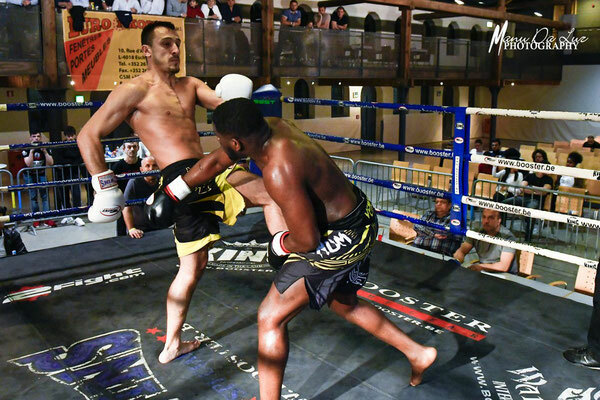 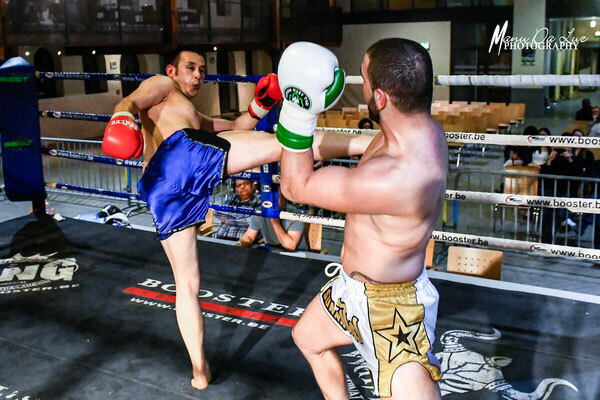 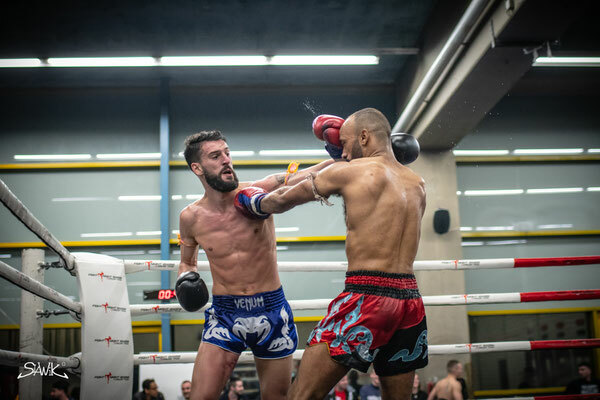 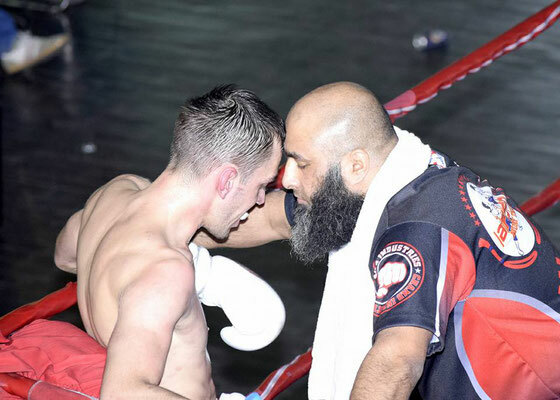 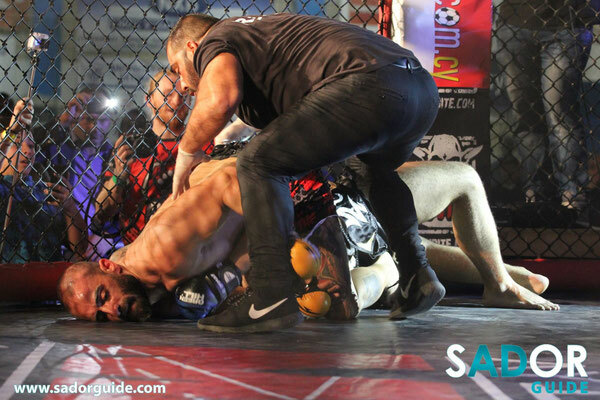 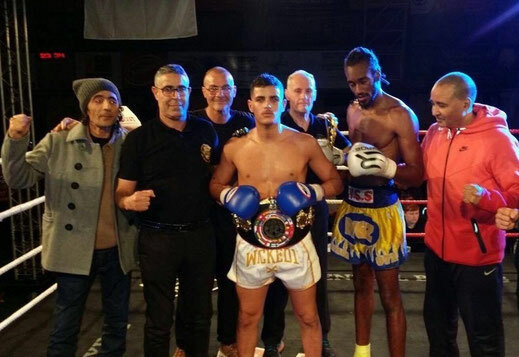 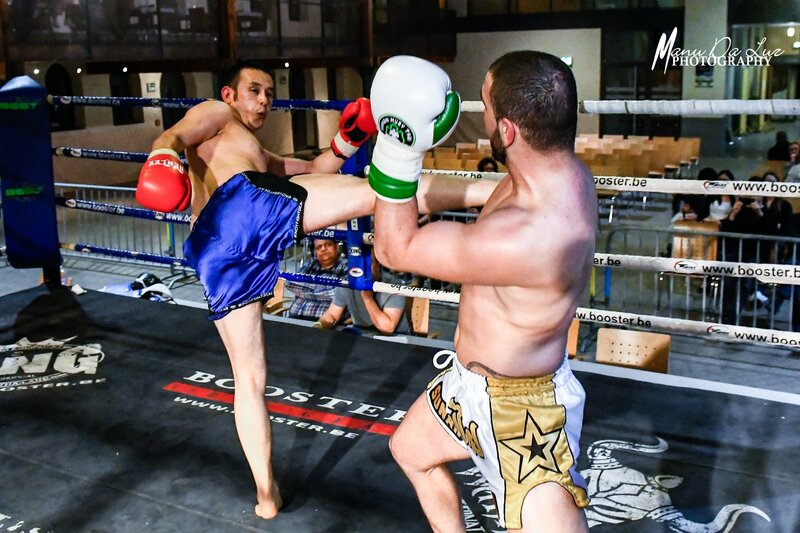 World Titlefight Brandon Mobi (France) Vs Hamid Akrach (Morocco). 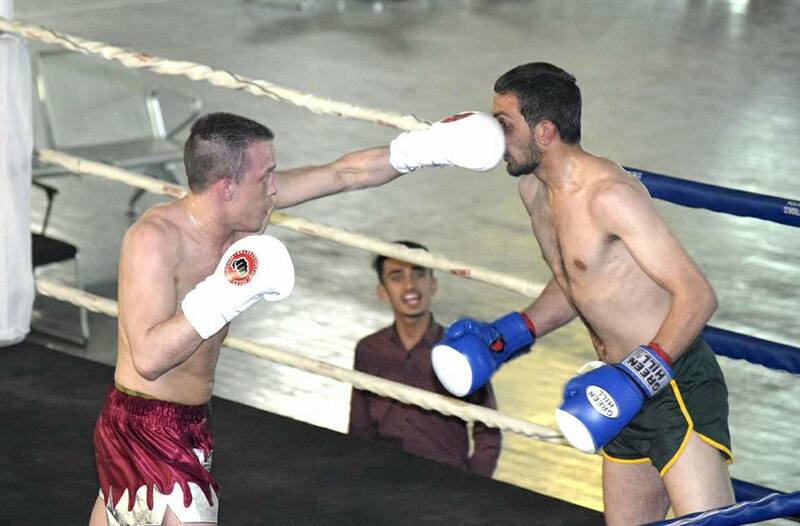 Ferhat Arslan (Turkey) Vs Sharam Haghi (Iran). 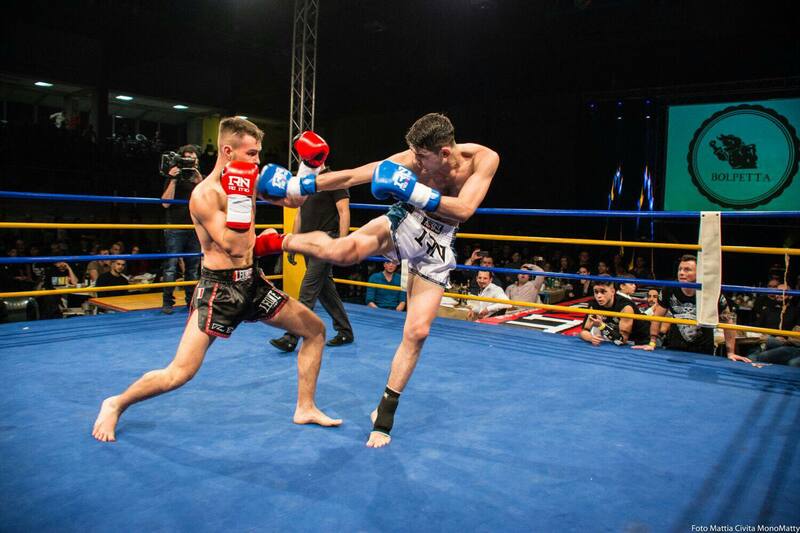 Serdar Yigit Eroglu (Turkey) Vs Muhammed Mahmic (Serbia). 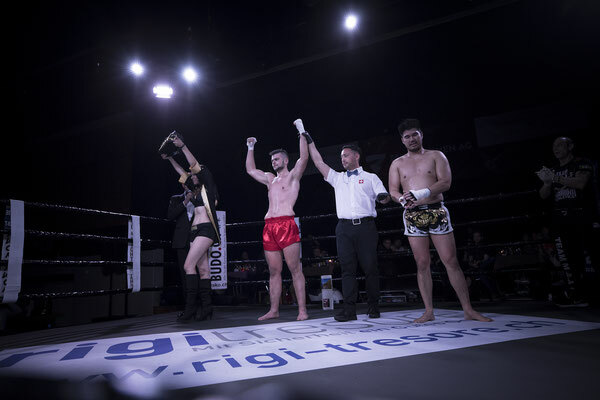 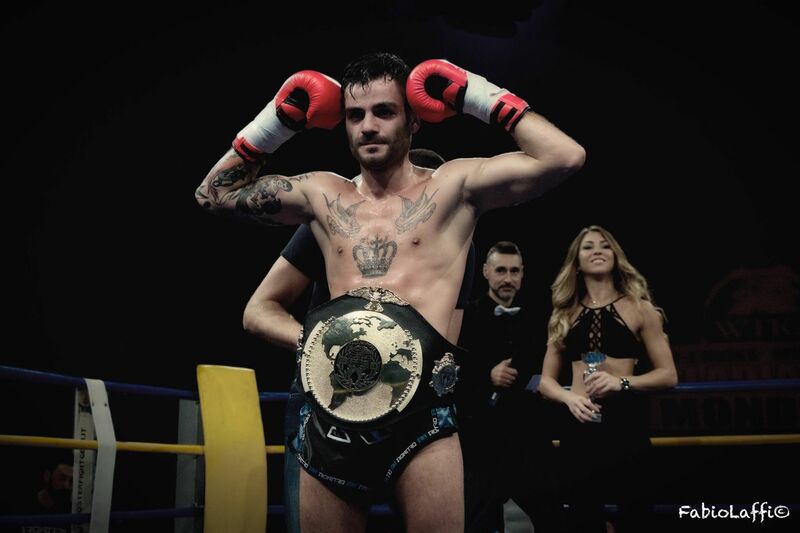 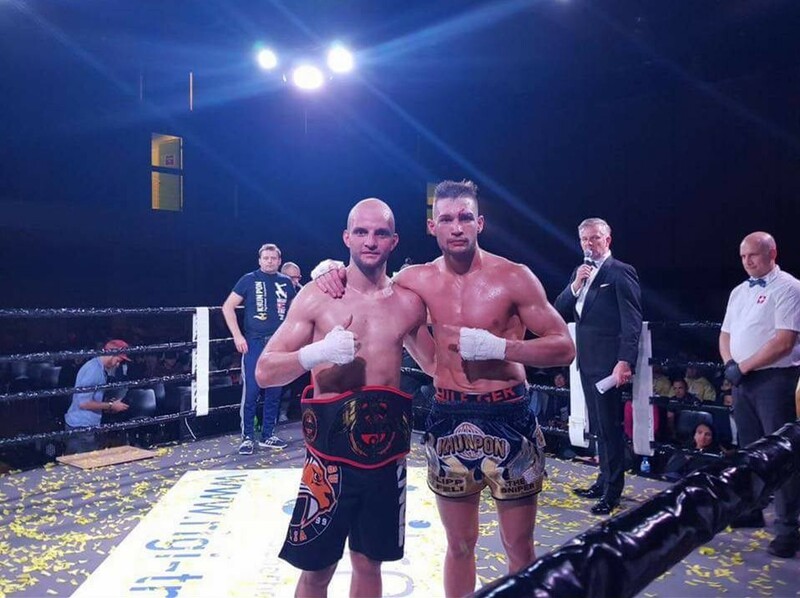 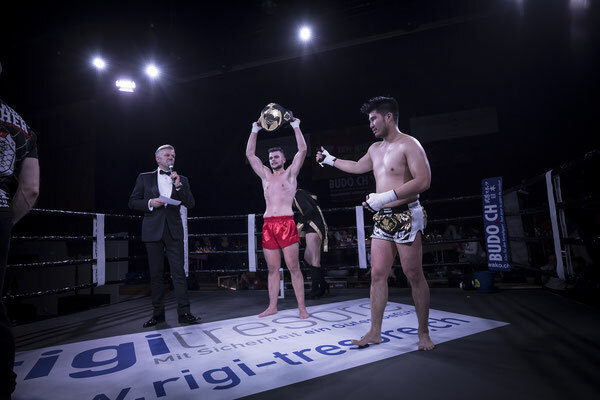 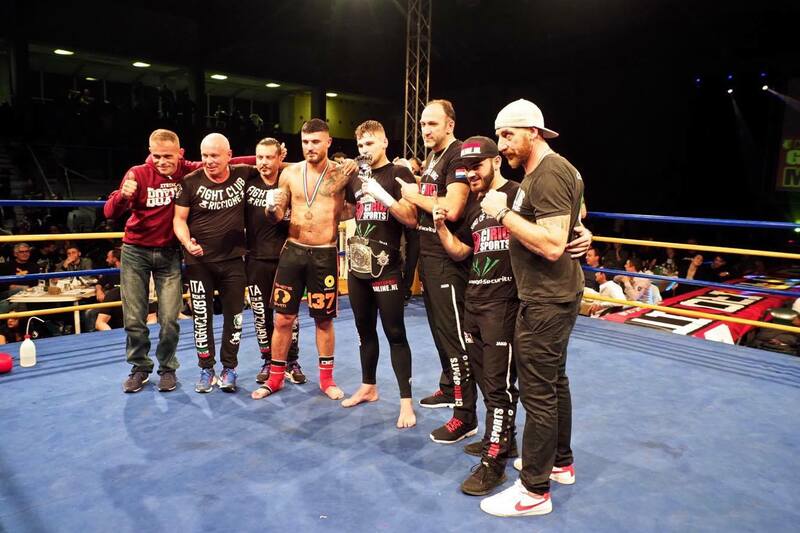 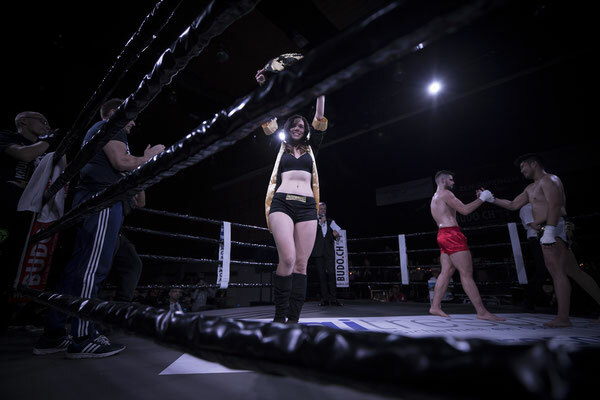 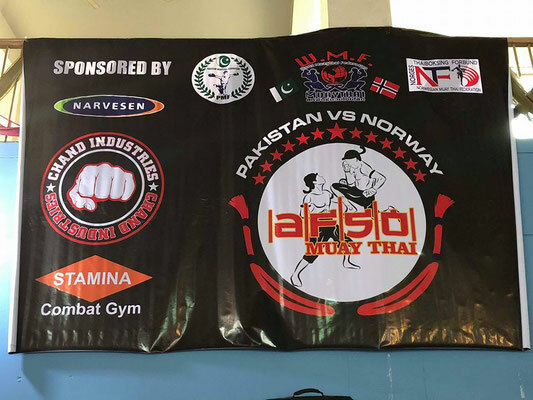 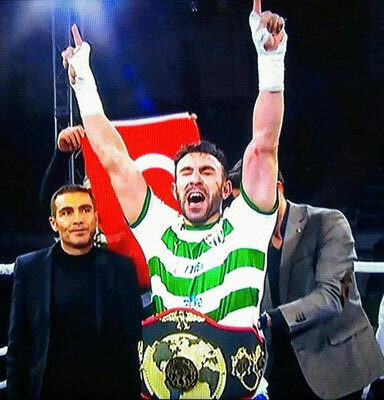 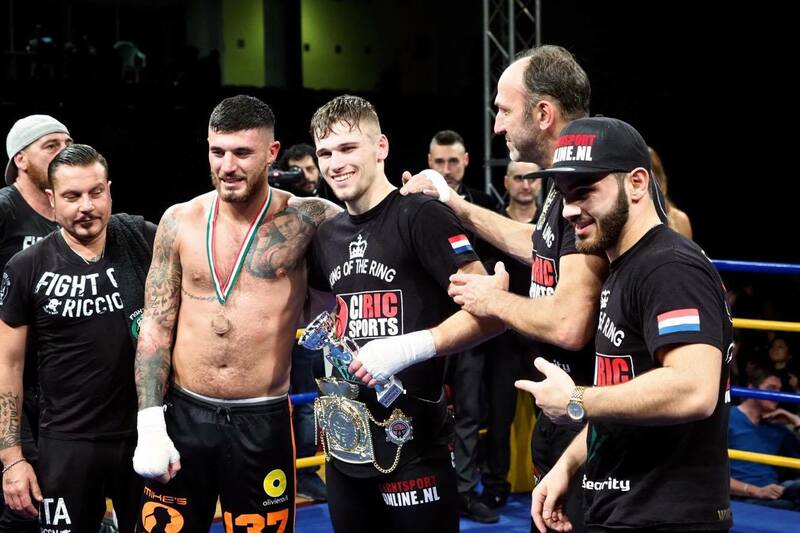 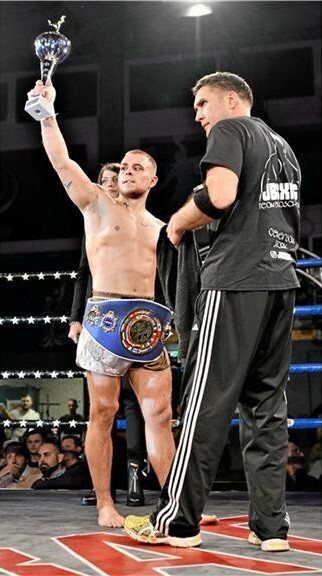 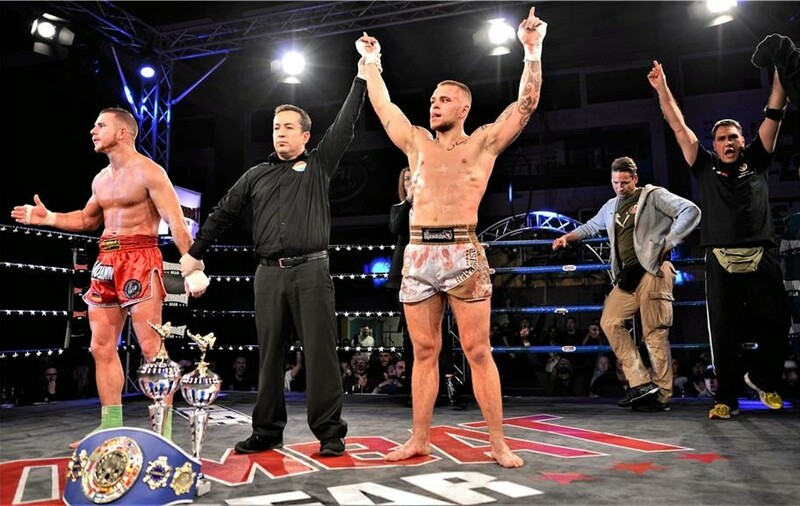 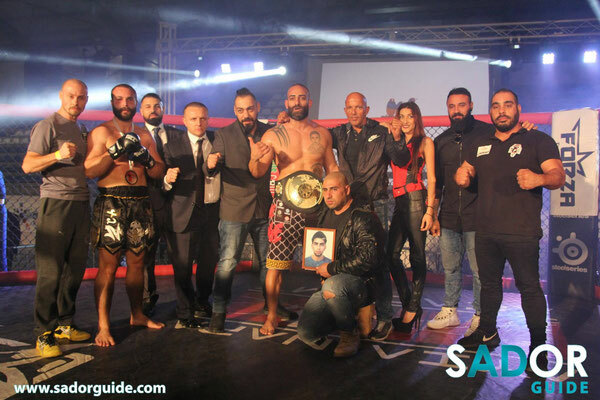 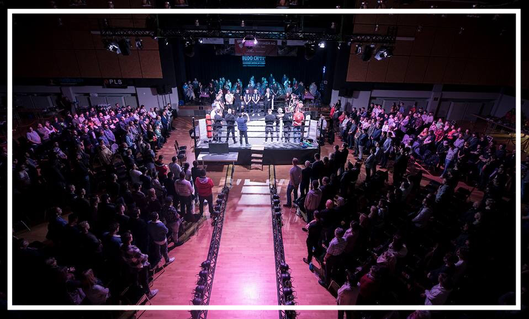 28.10.2017 Brig: World Titlefight K-1 Rules Lightmiddleweight of W.T.K.A. 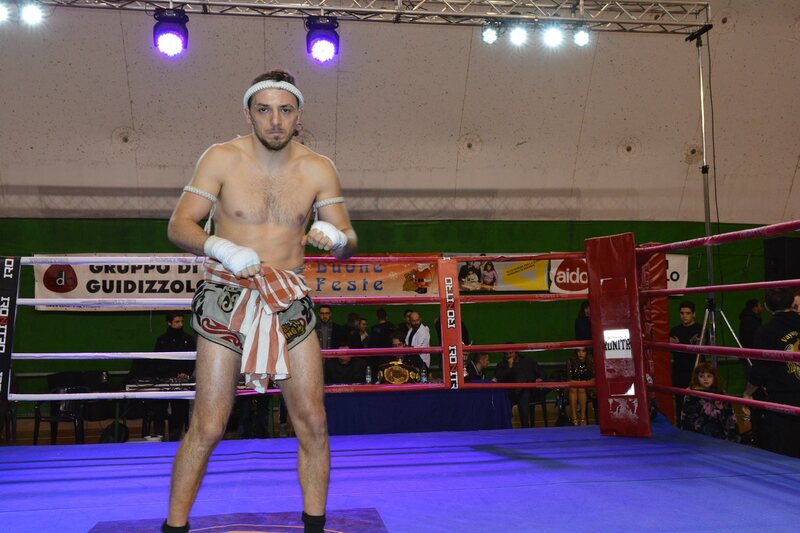 Ovidio Mihali (Italy) def. Philipp Häfeli (Suisse). 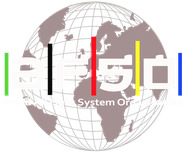 28.10.2017 Brig:A.F.S.O. 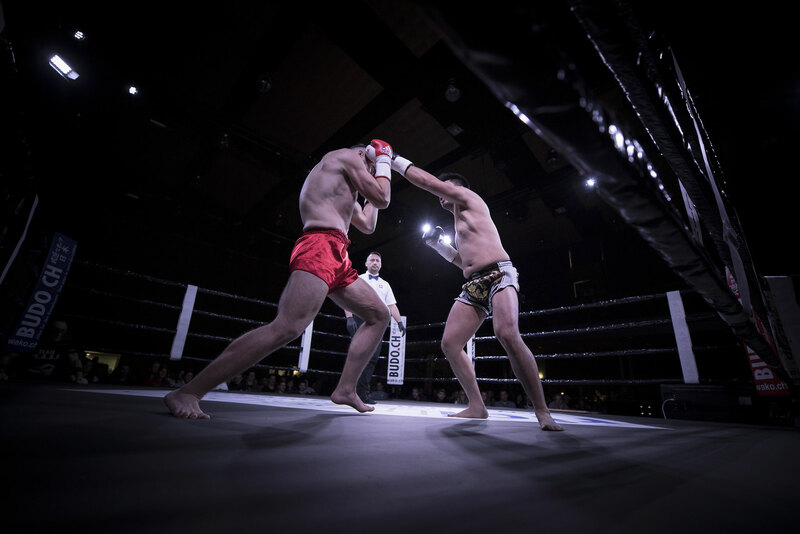 Roiental Rules Lightheavyweight International Titlefight Reto Häfeli (Suisse) Vs Dung Quan (Germany).